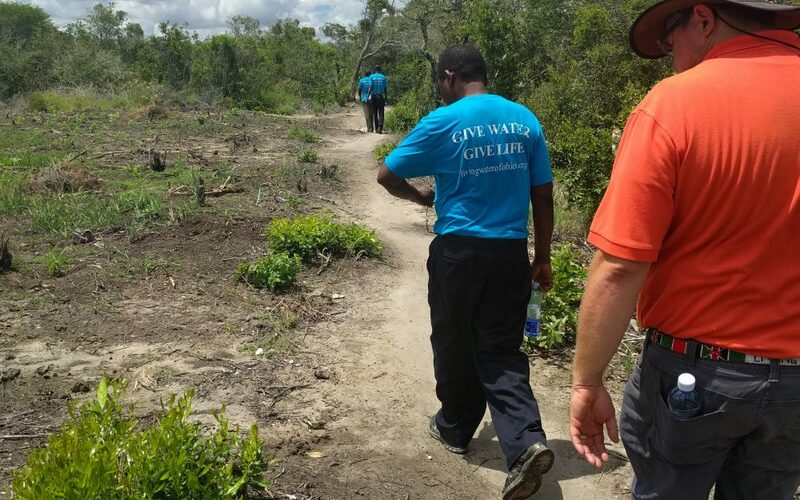 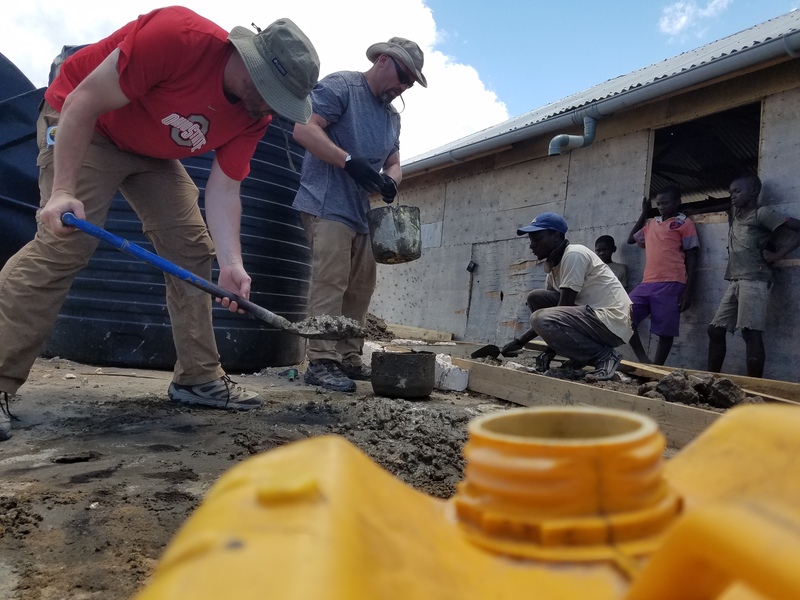 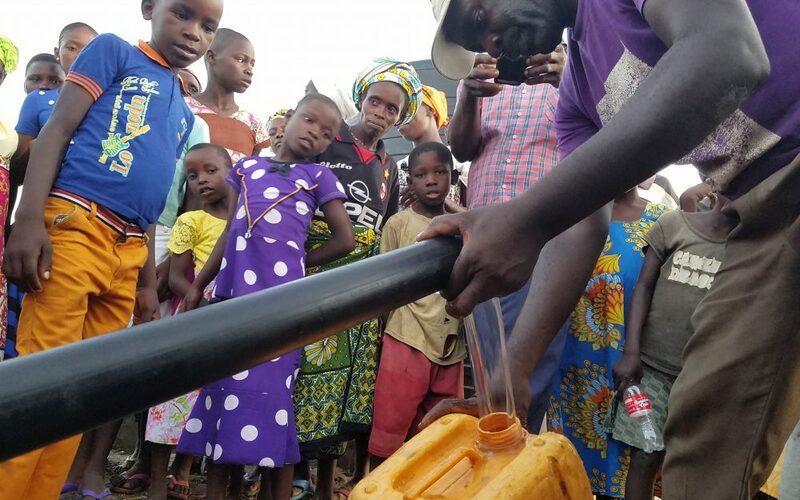 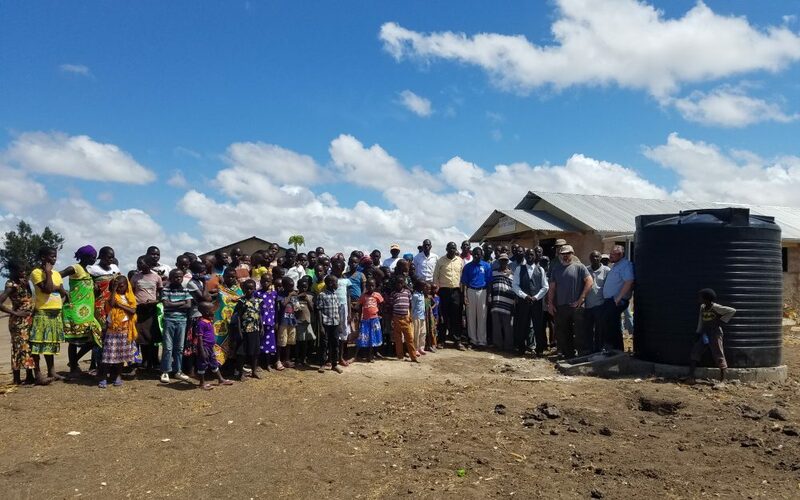 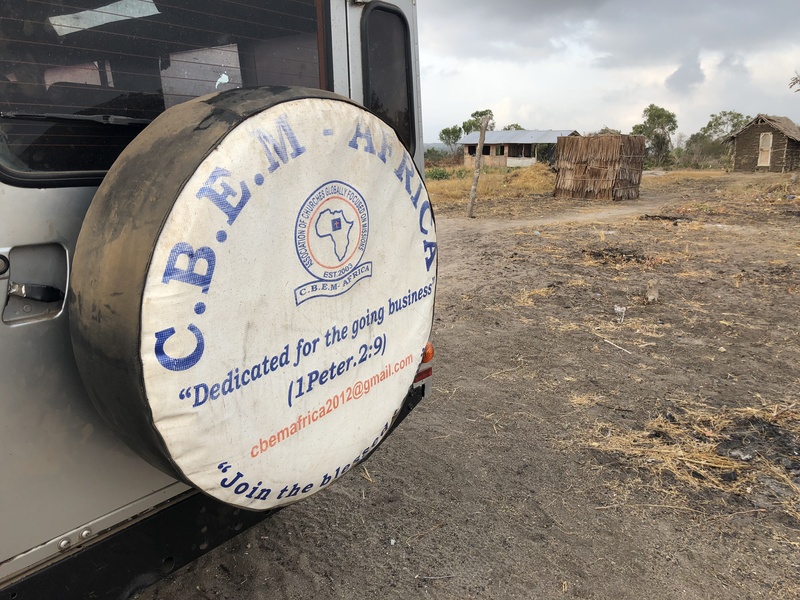 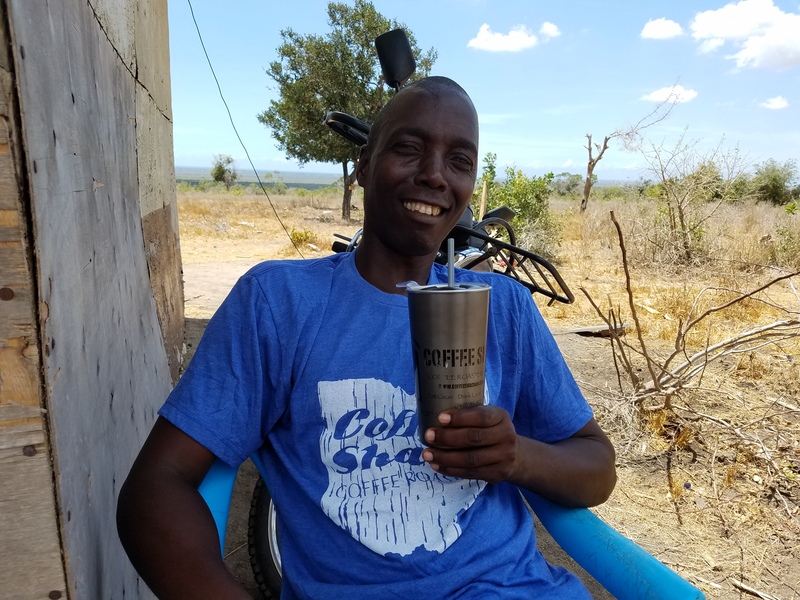 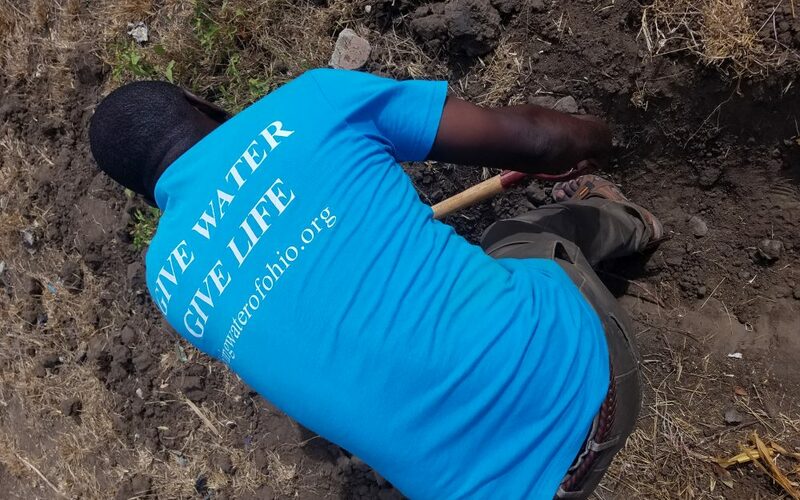 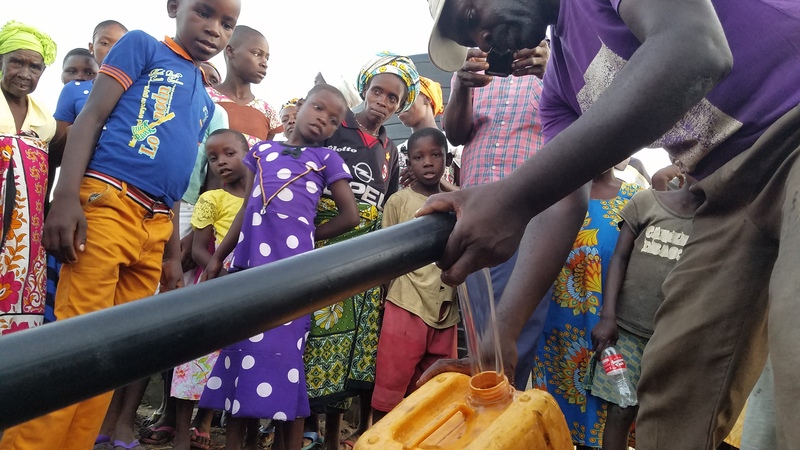 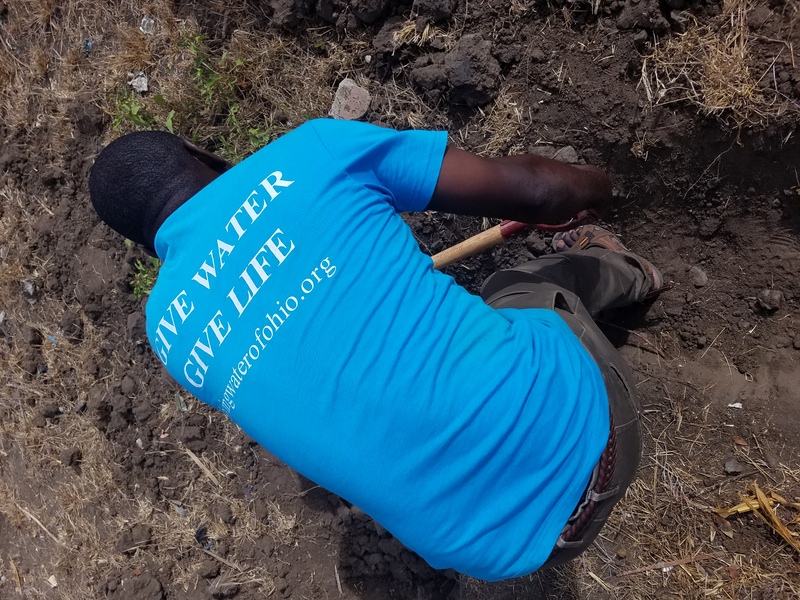 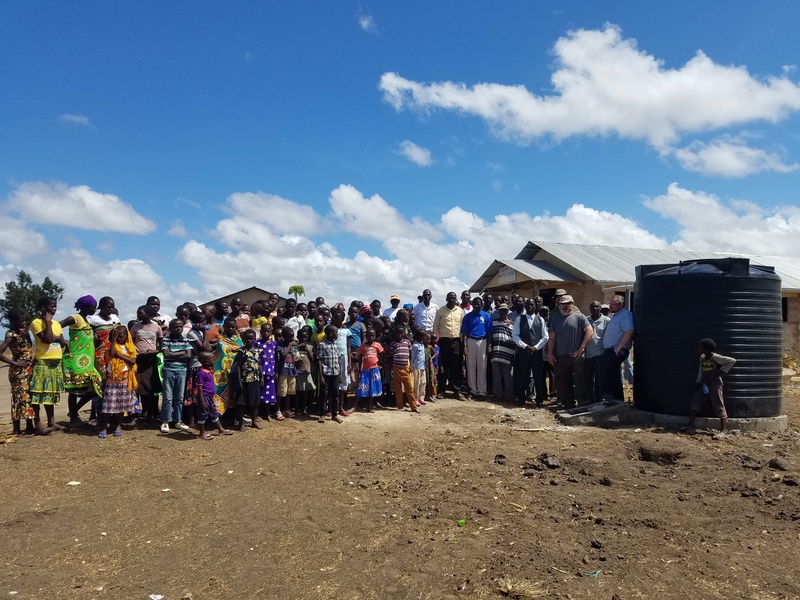 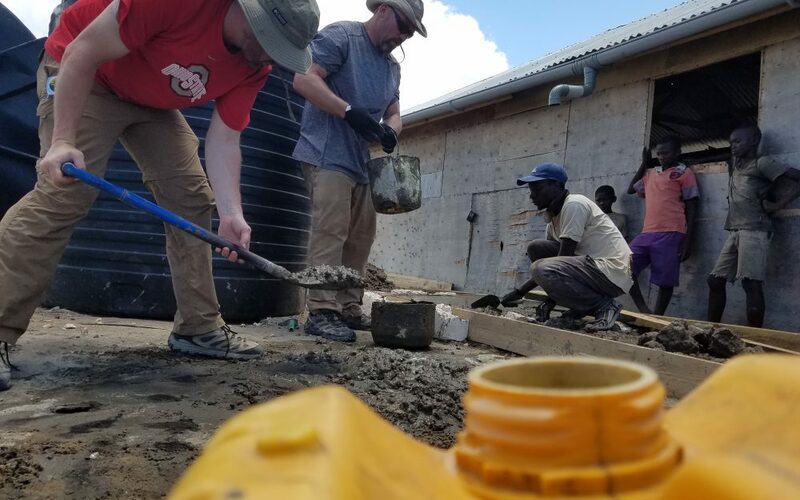 Living Water of Ohio has partnered with Committed Believers Evangelical Ministry(CBEM)-Africa to bring clean water to the people. 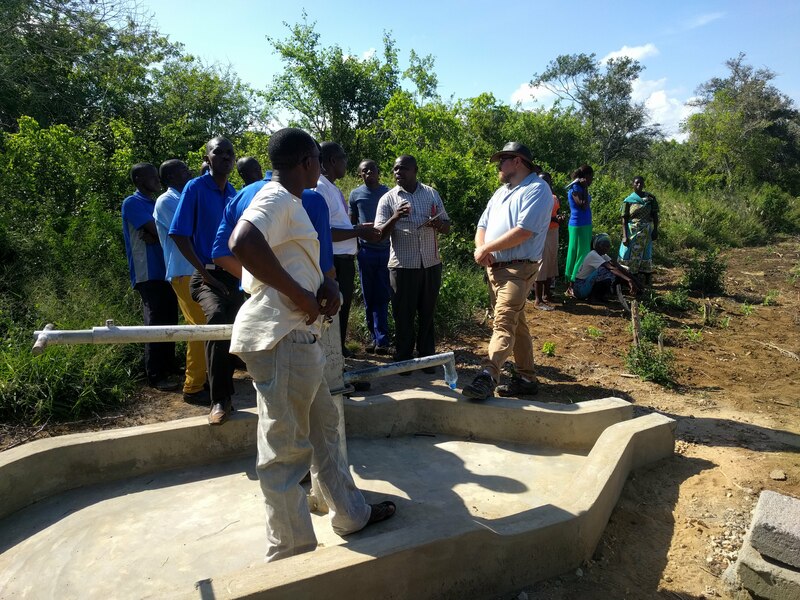 The Chanjalo hand pump will provide drinking water for nearly 1400 local residents. 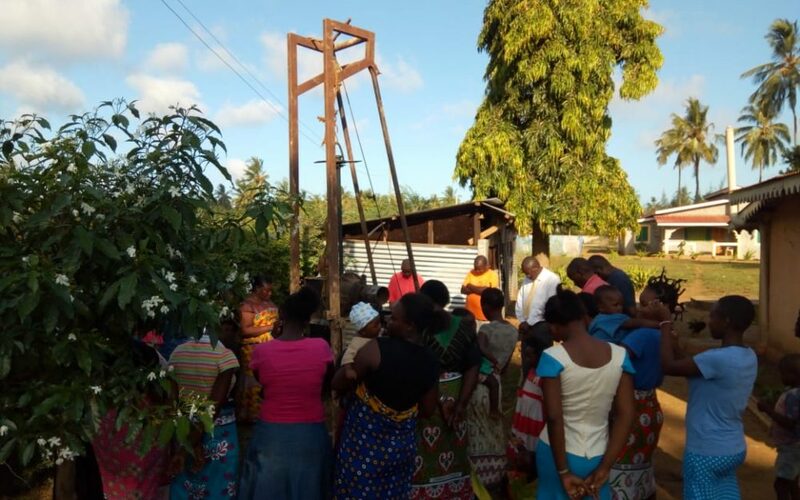 The bore hole was drilled once, but did not yield a sustainable amount of water. 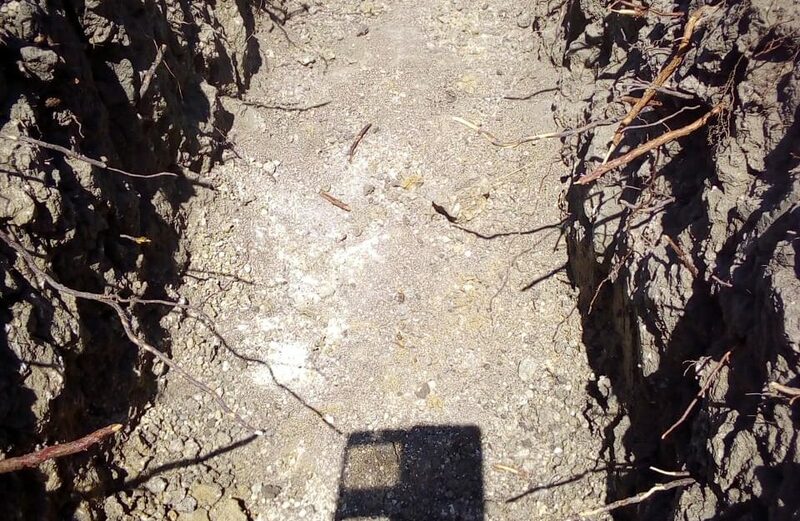 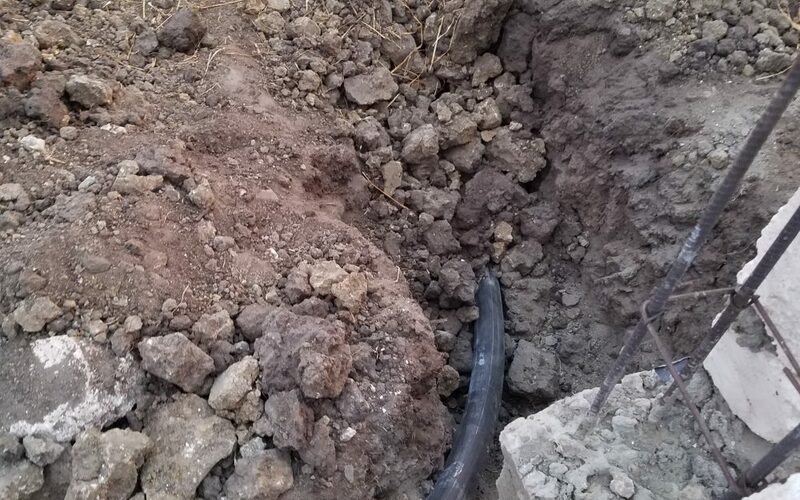 A geological survey was completed and its findings were that 10 more meters would hit a large aquifer. 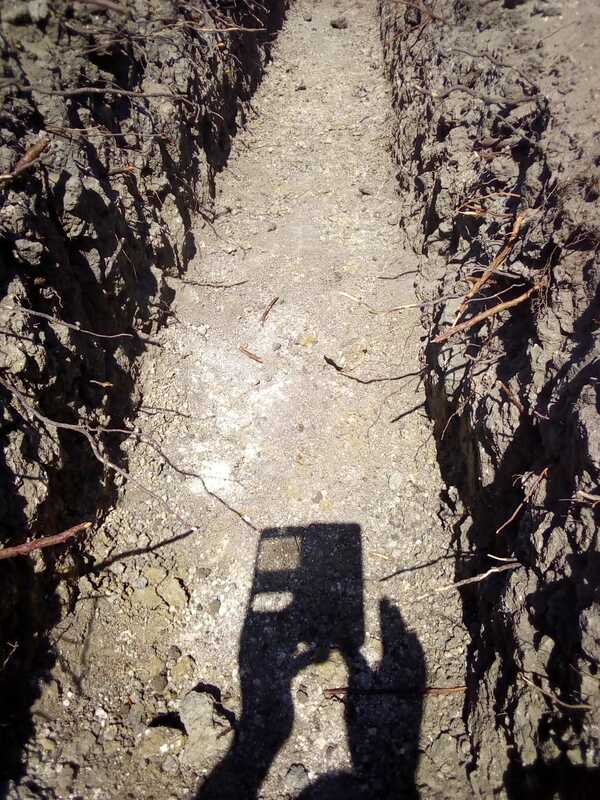 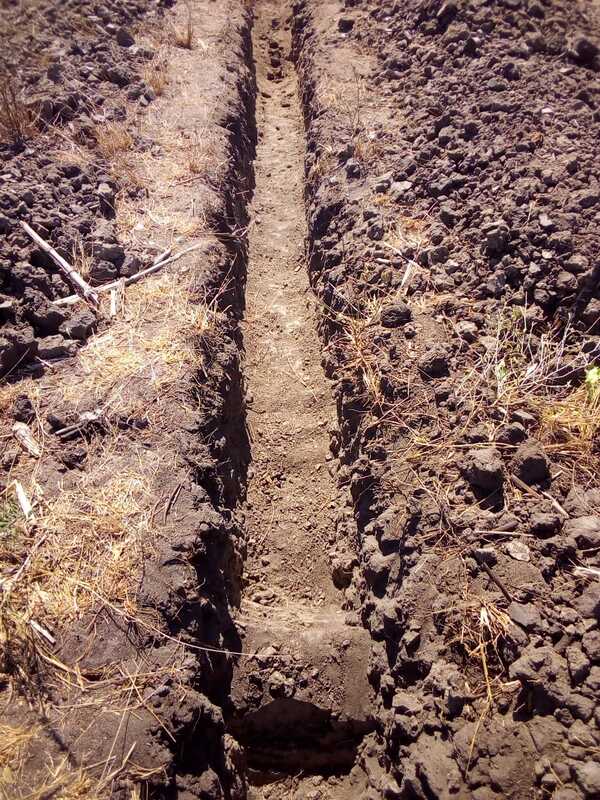 After meeting with the driller, a second attempt was made. 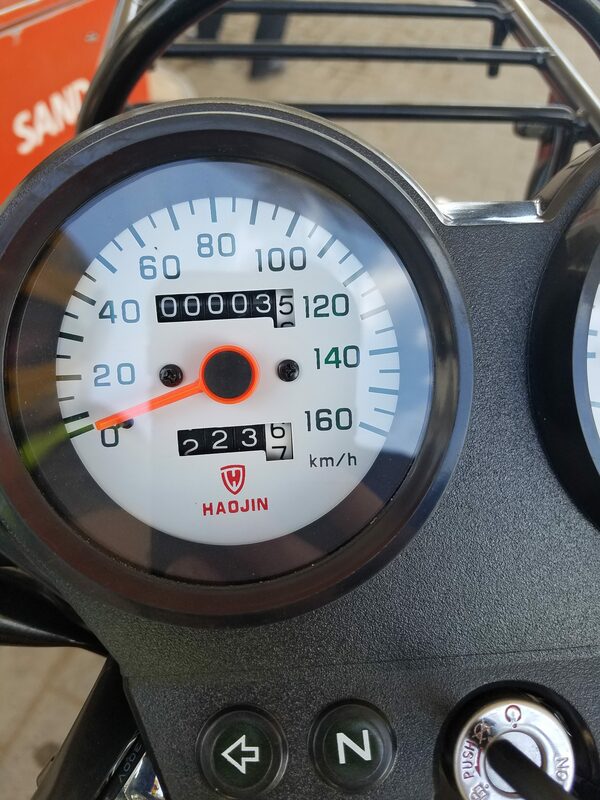 The machine broke during this phase due to the hard rock. 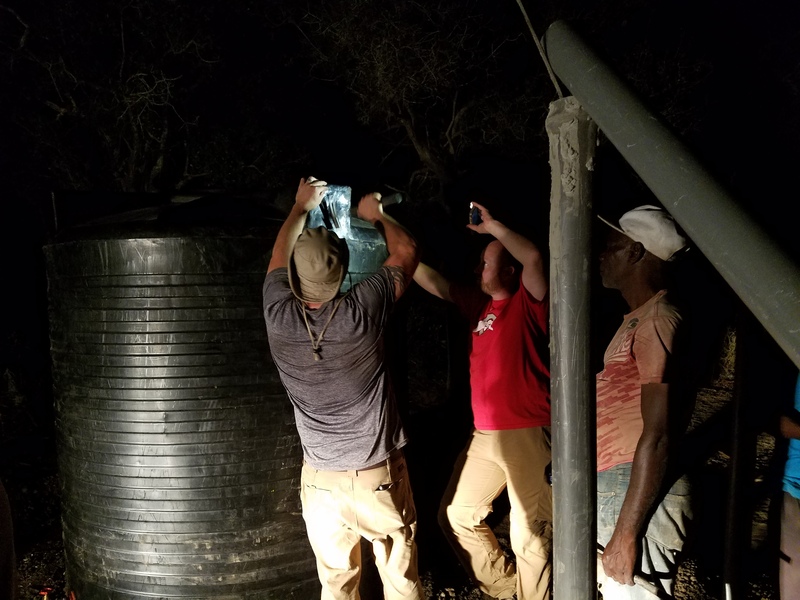 A third attempt with heavier machinery will be done to get to the large aquifer. 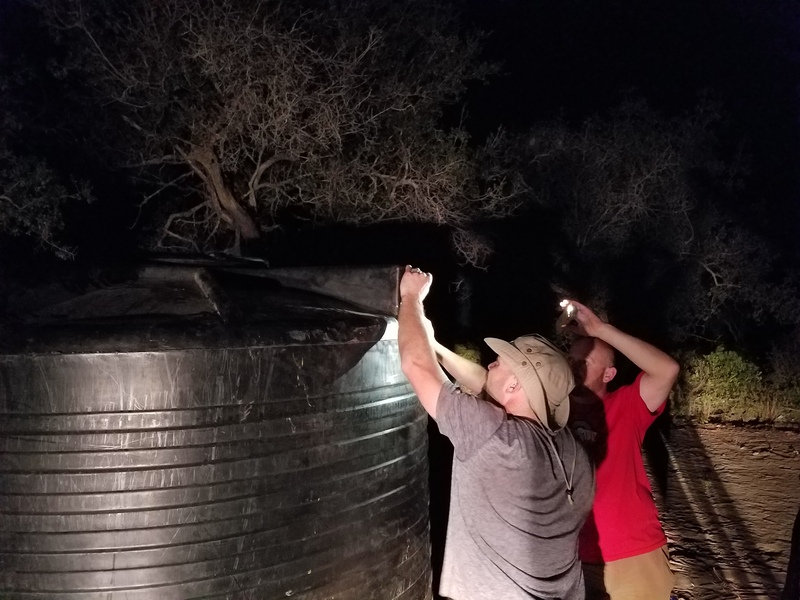 Please pray that the third attempt will be a success. 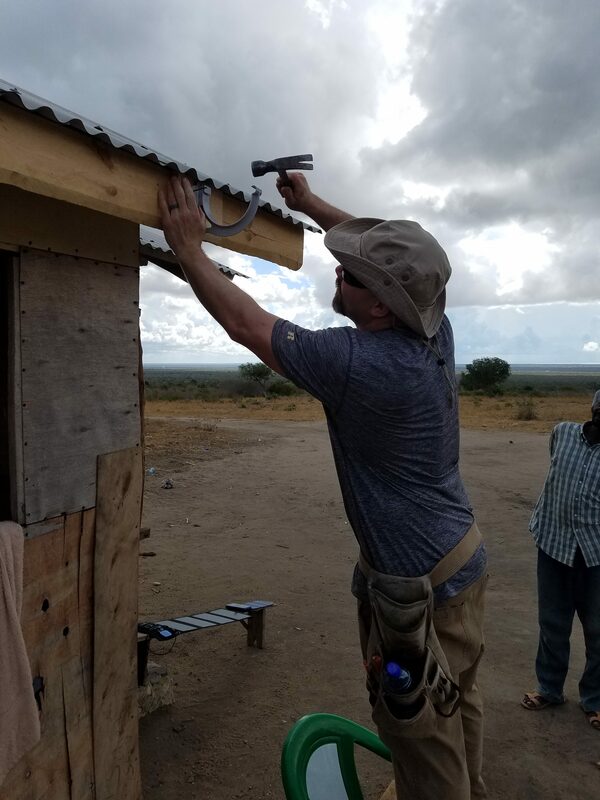 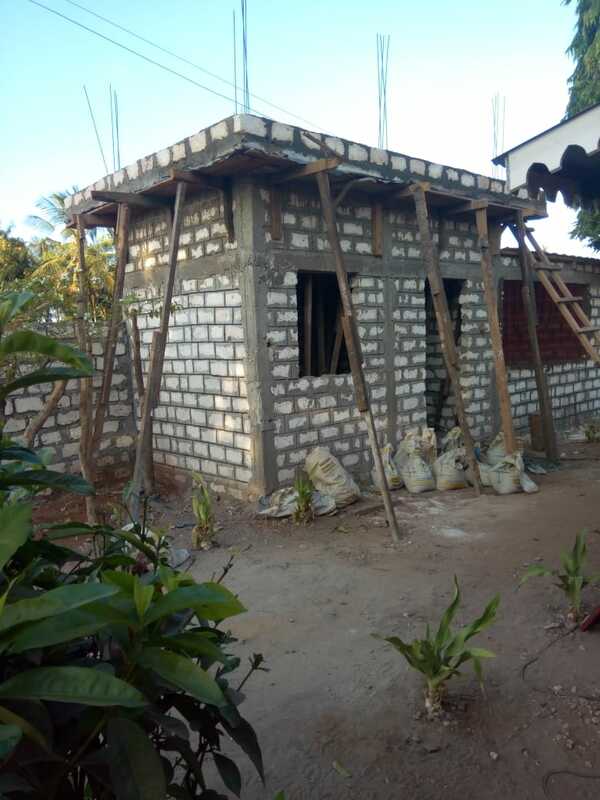 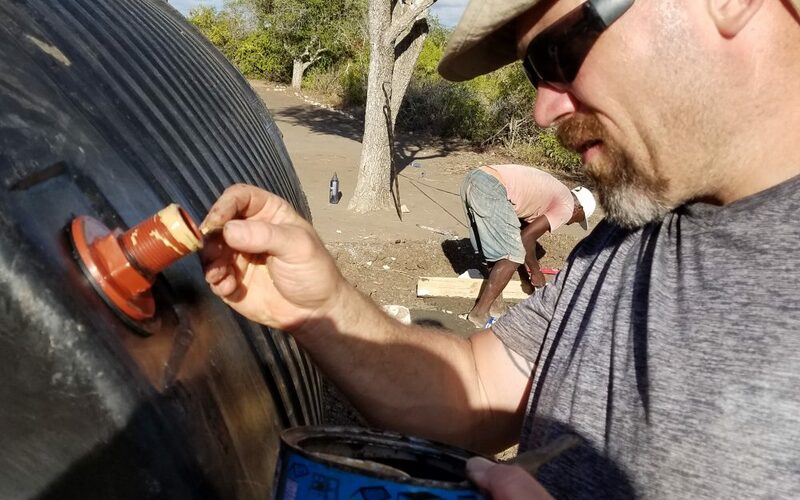 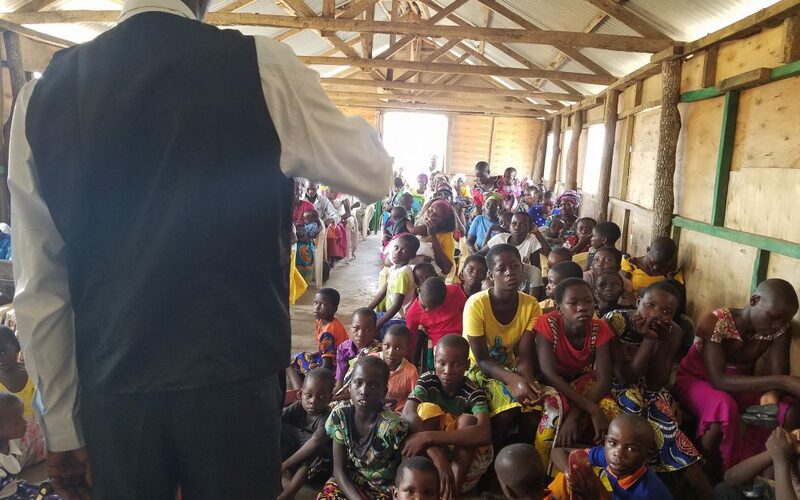 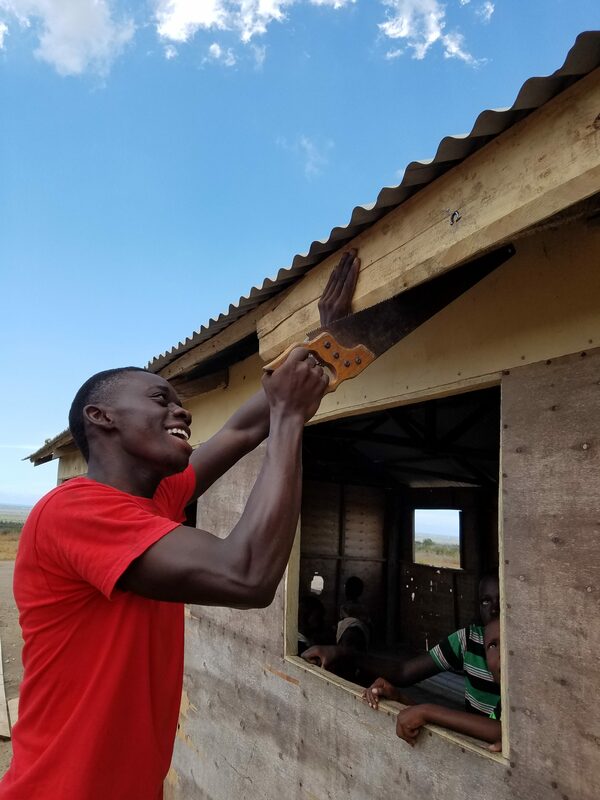 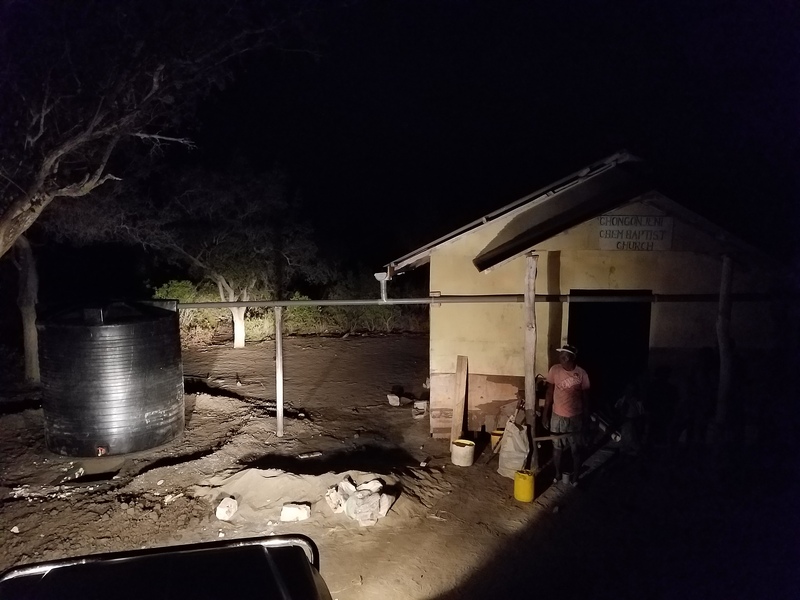 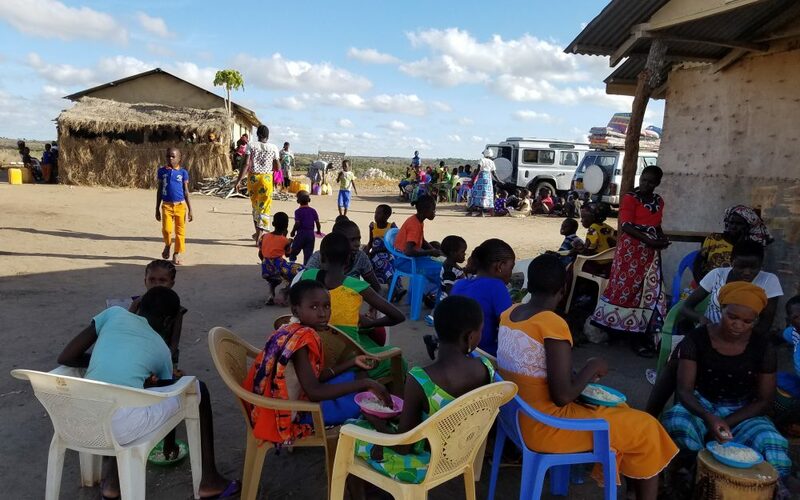 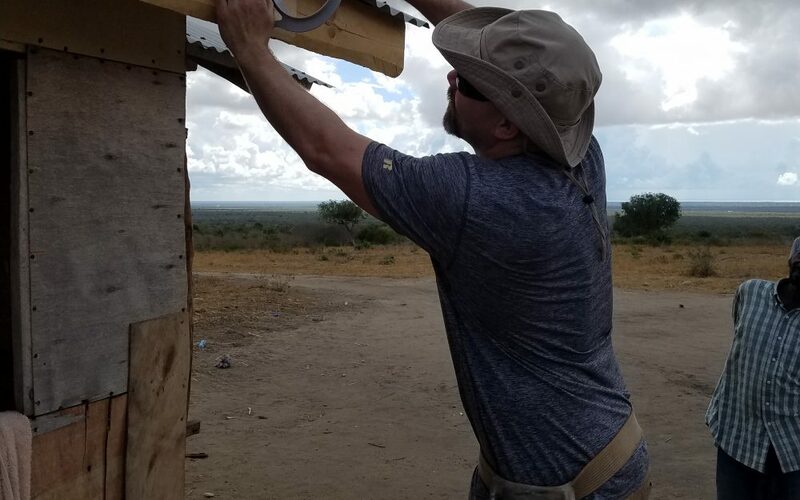 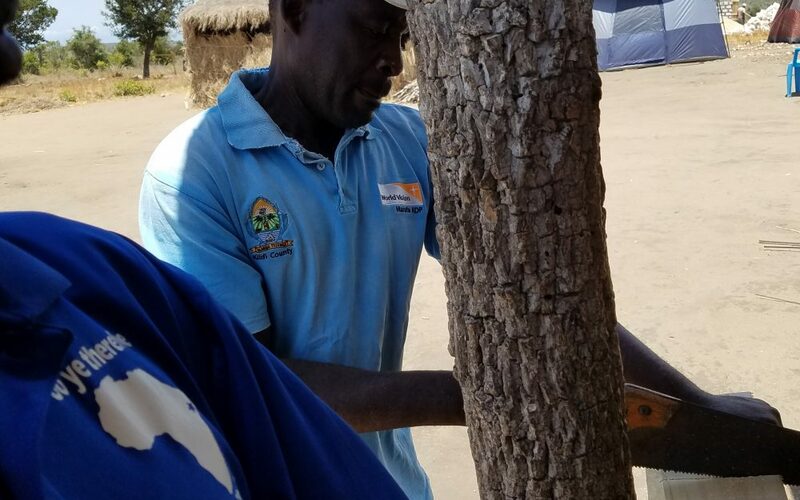 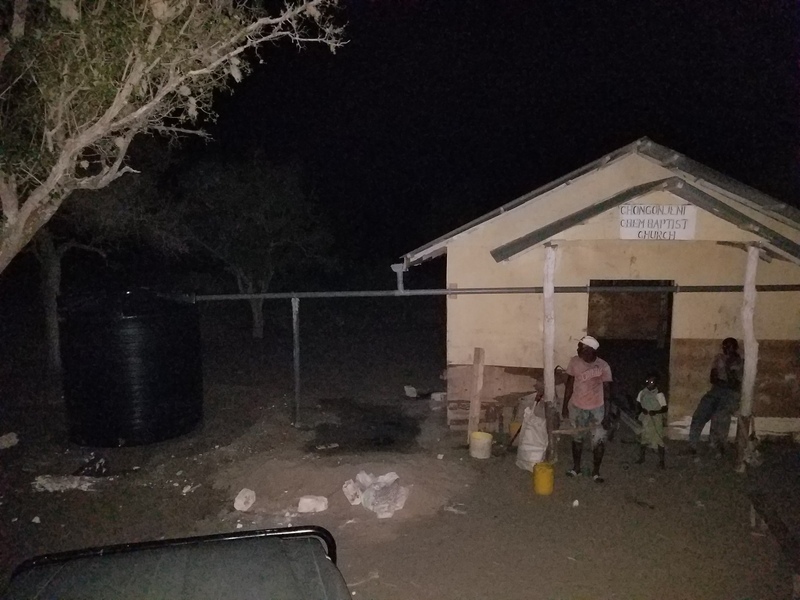 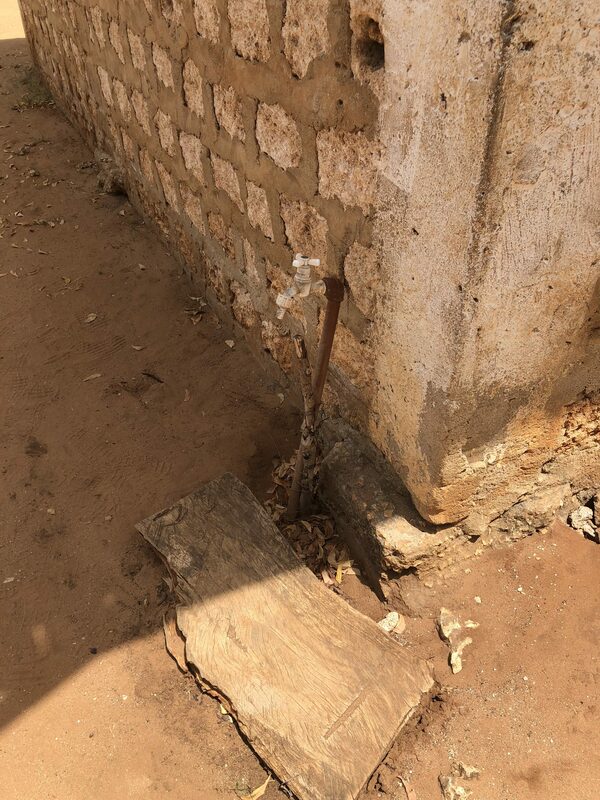 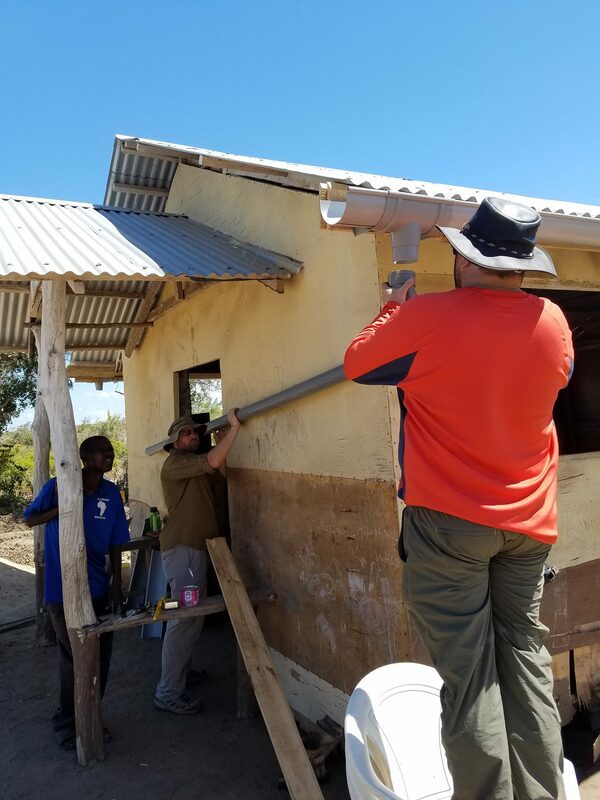 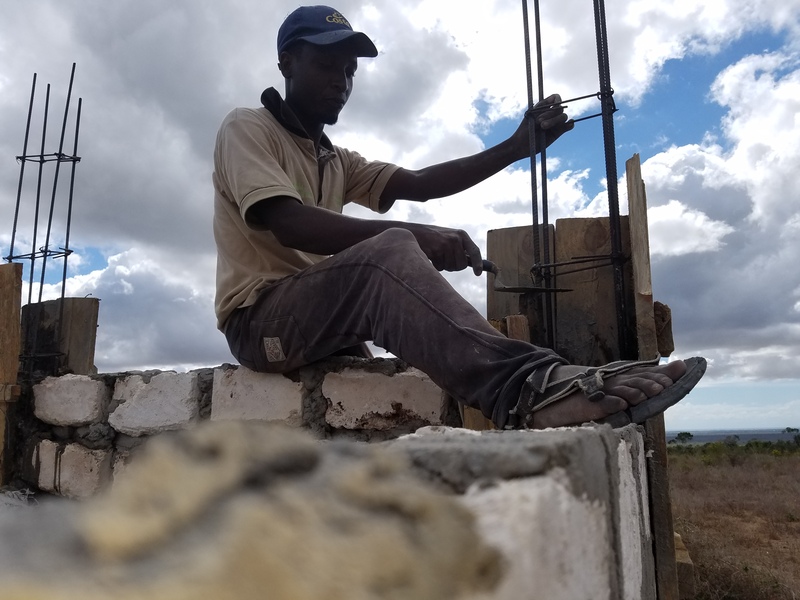 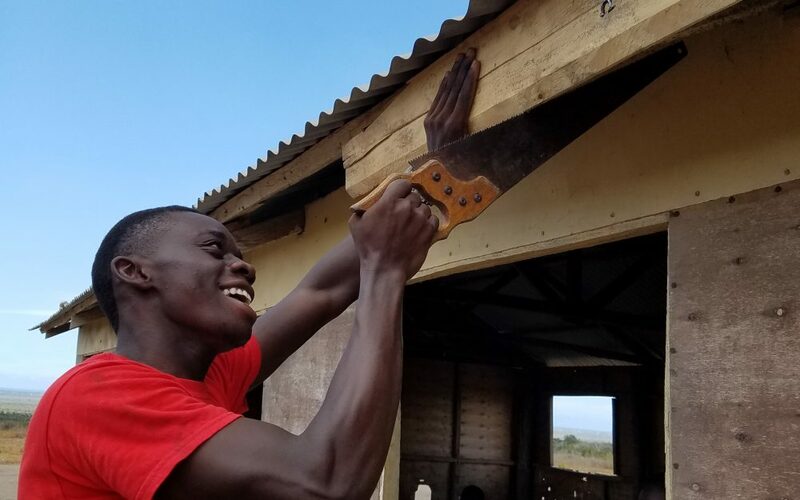 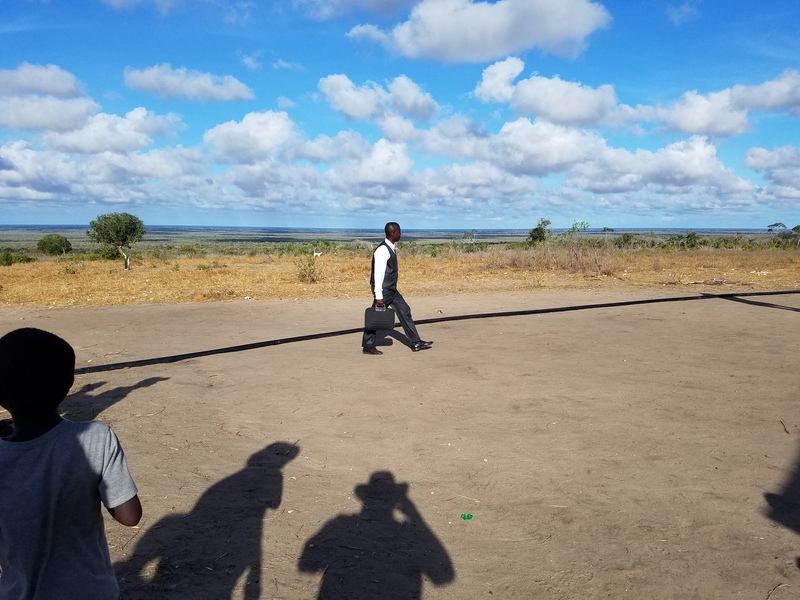 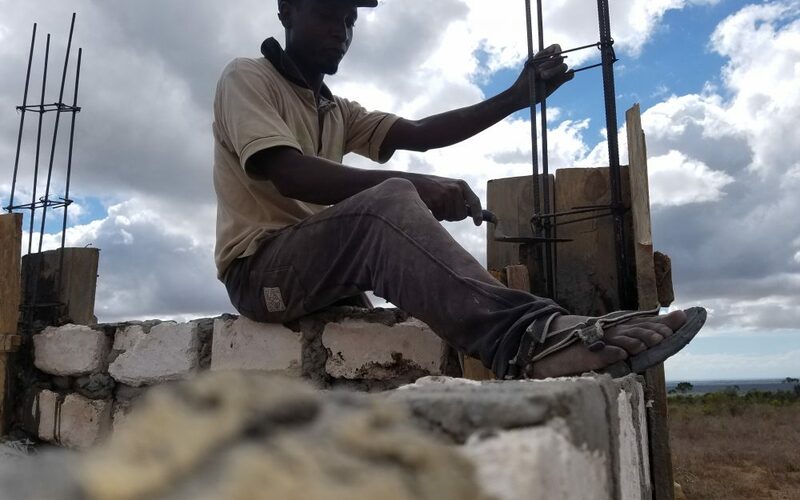 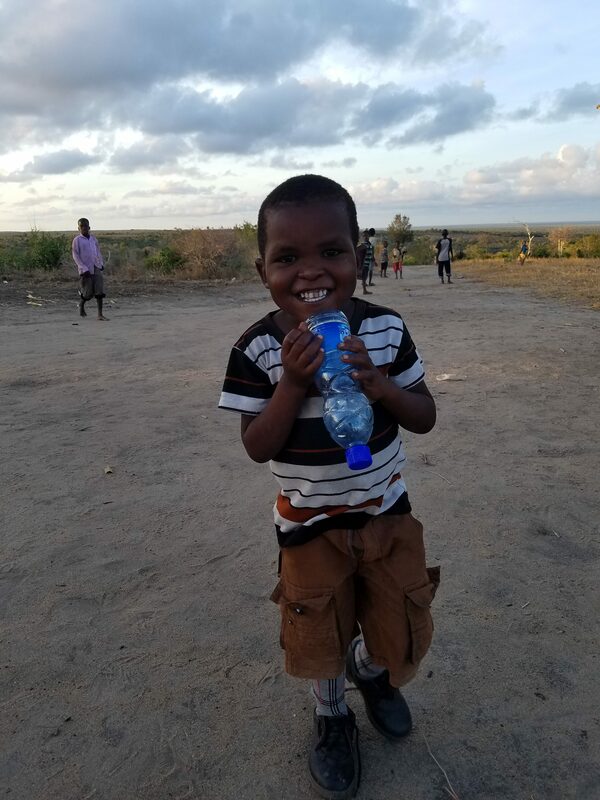 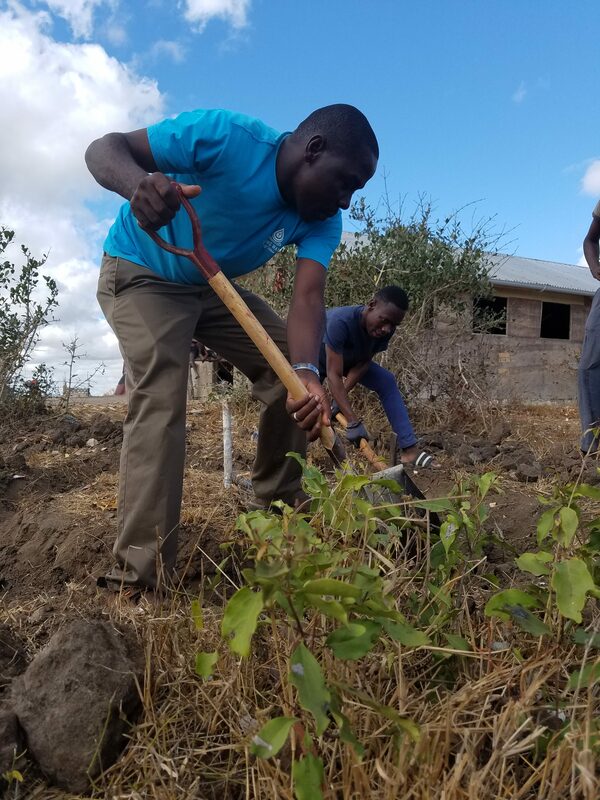 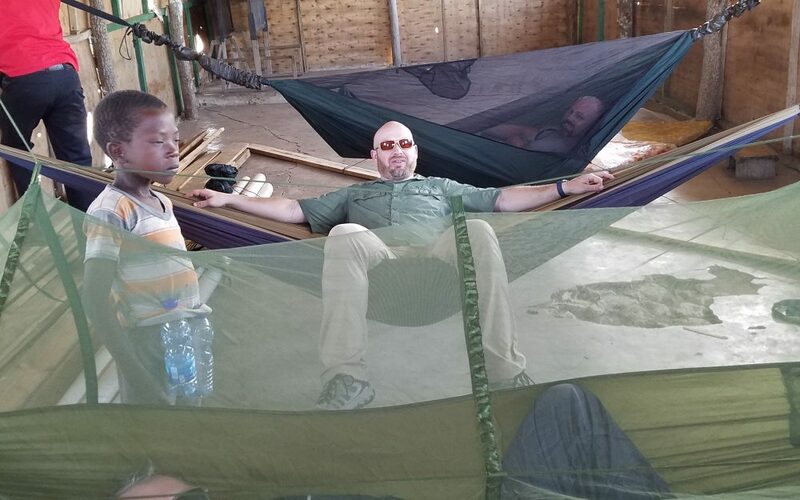 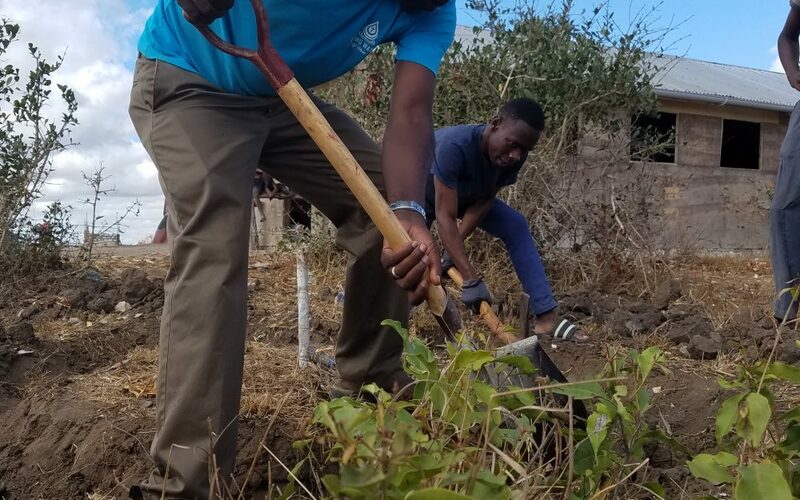 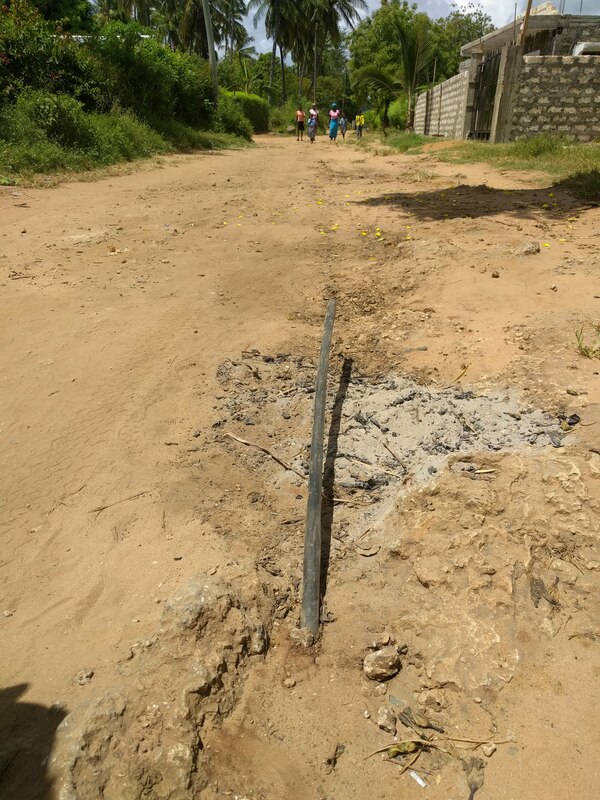 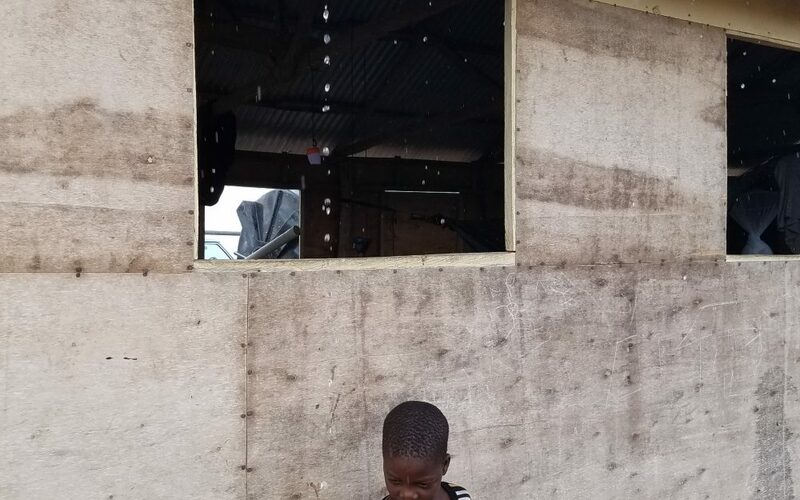 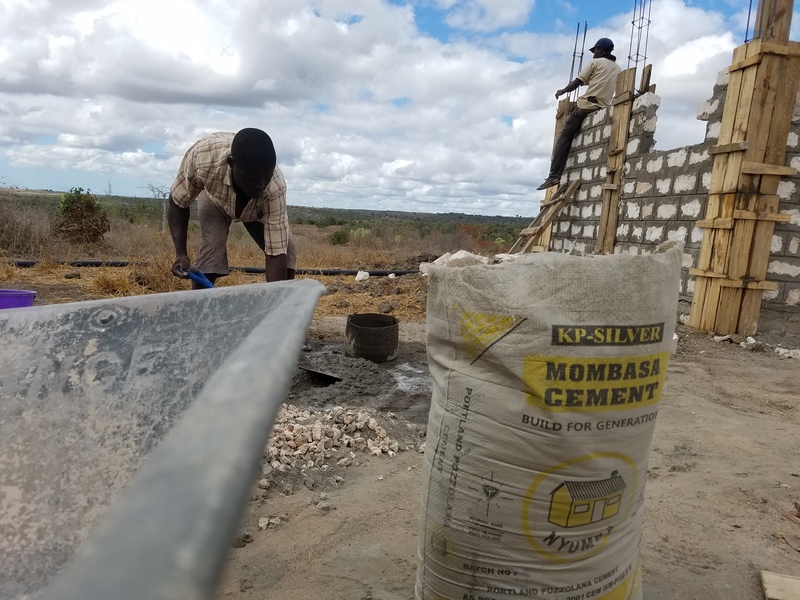 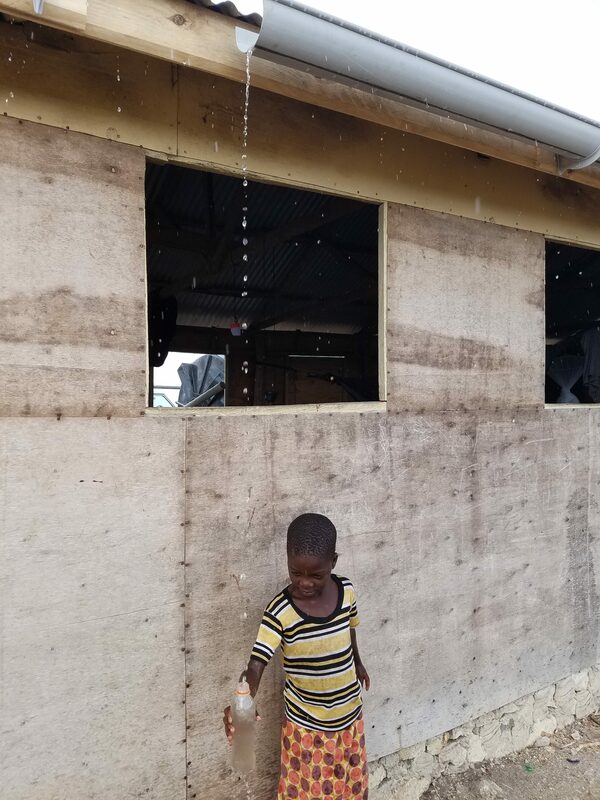 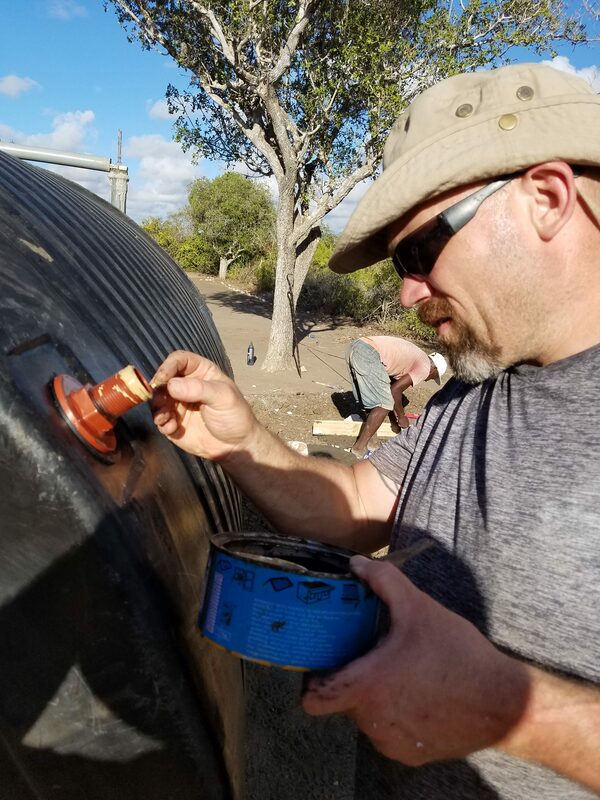 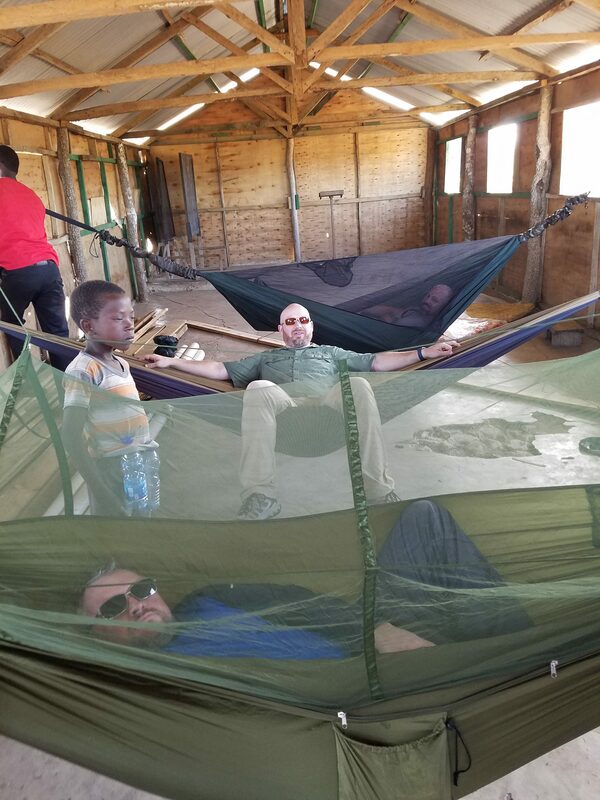 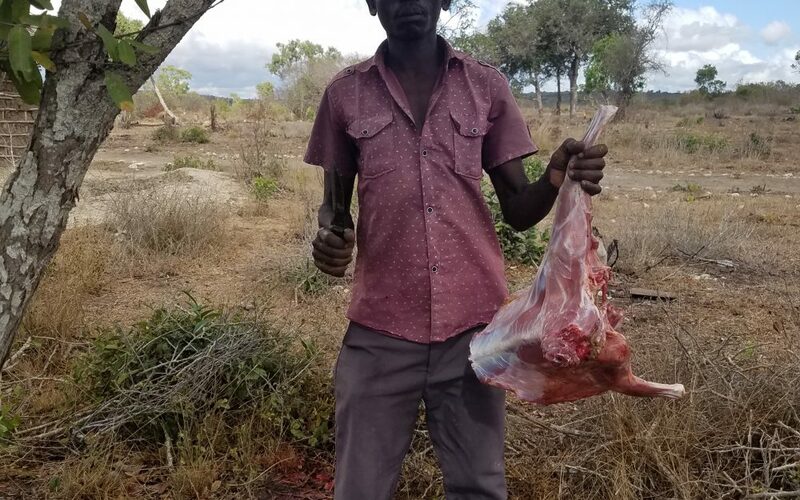 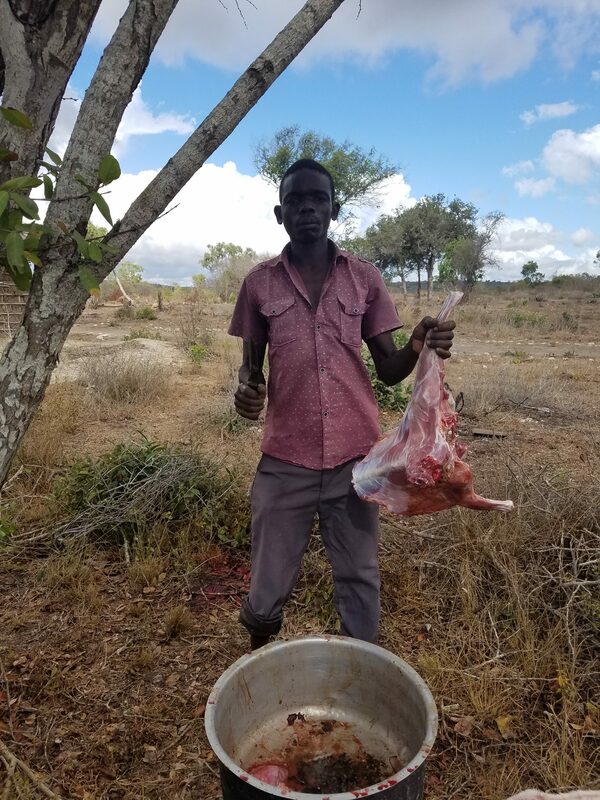 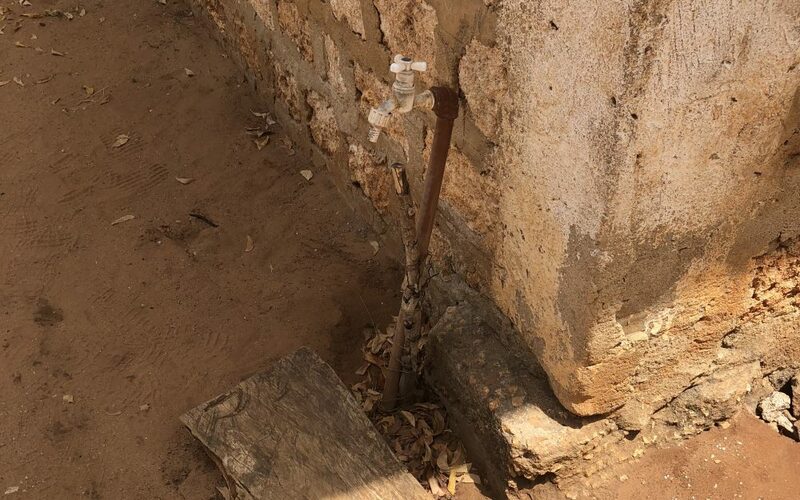 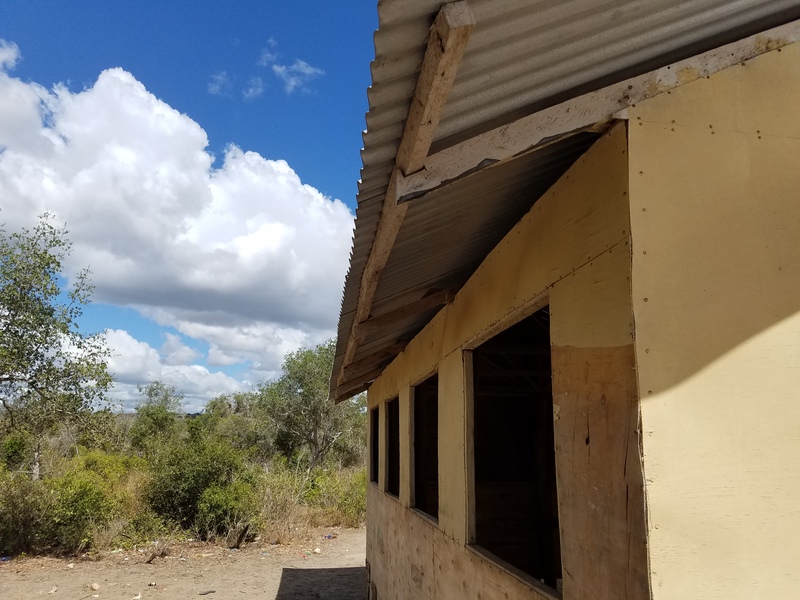 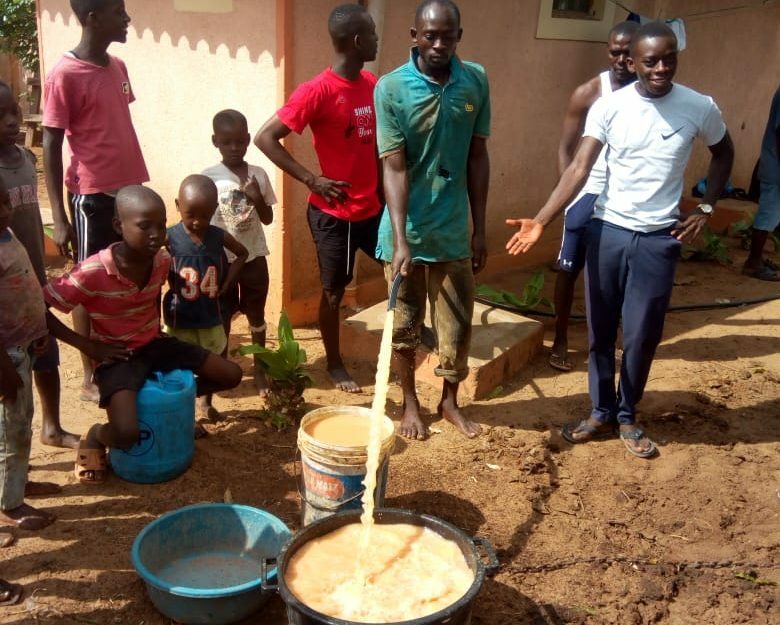 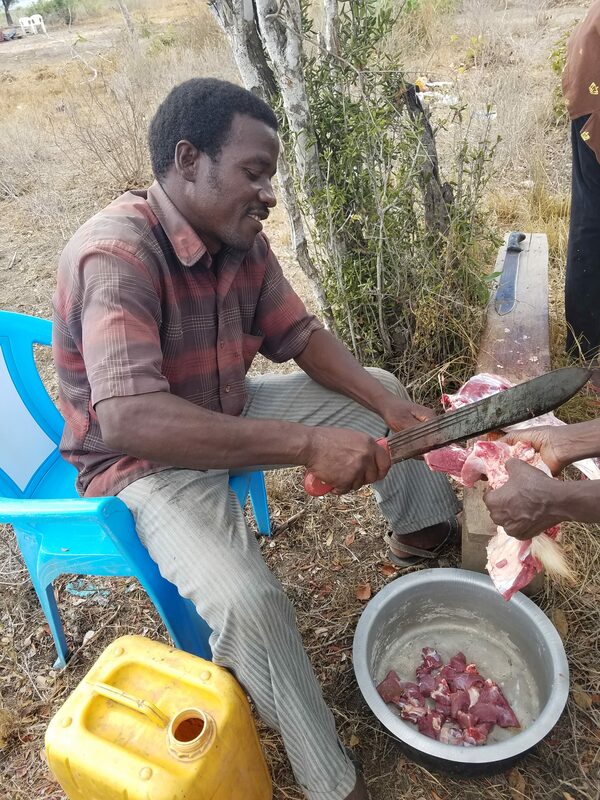 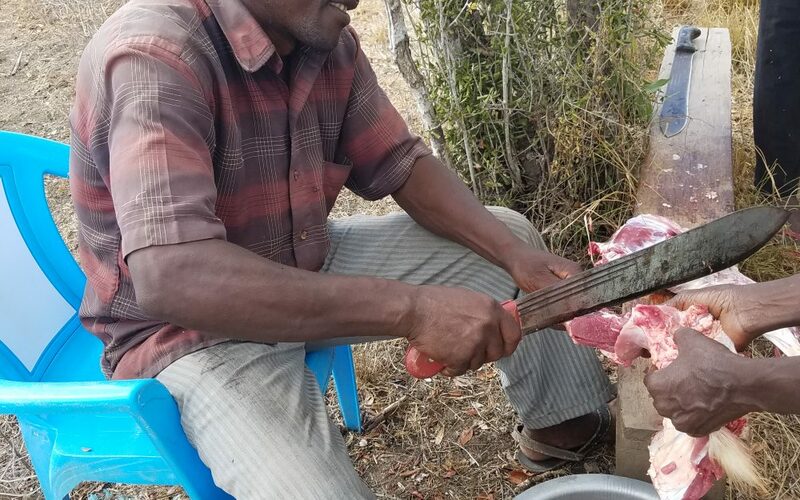 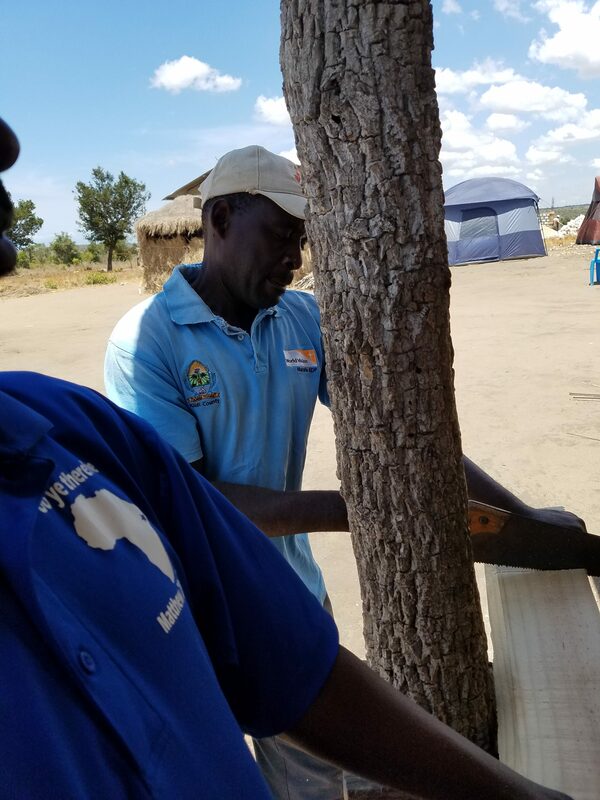 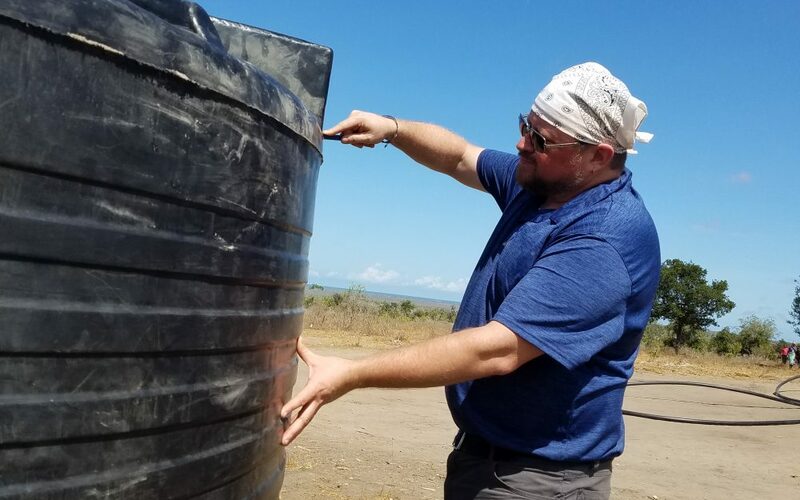 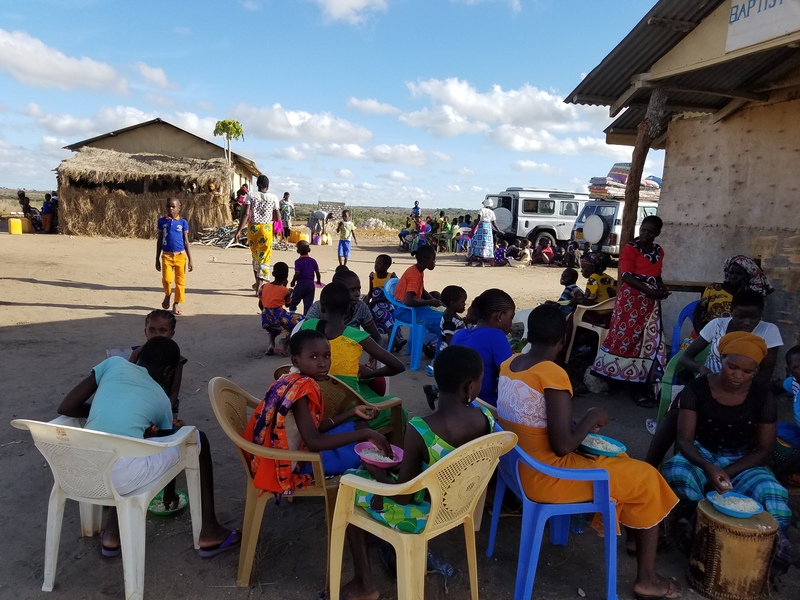 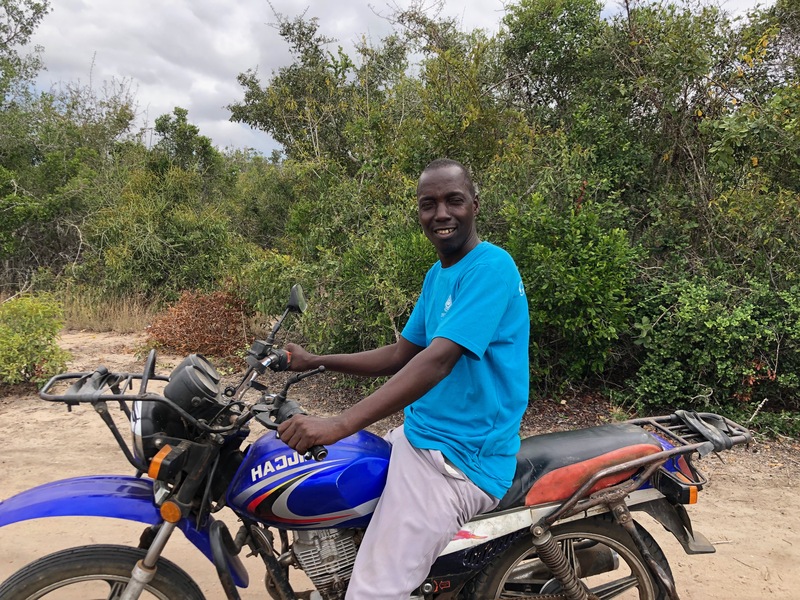 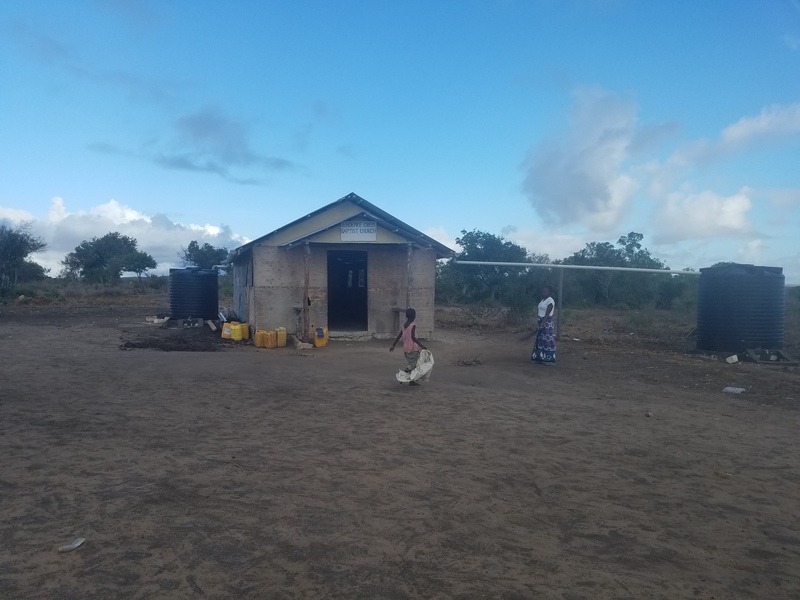 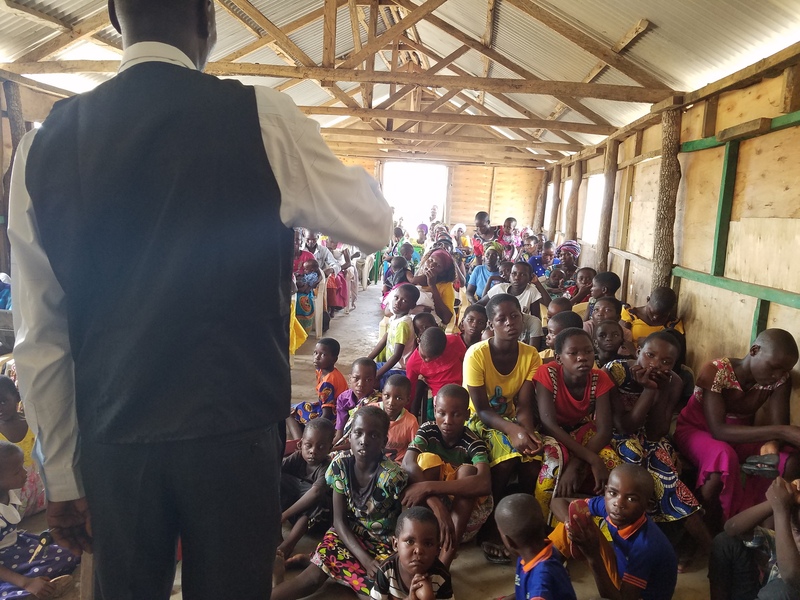 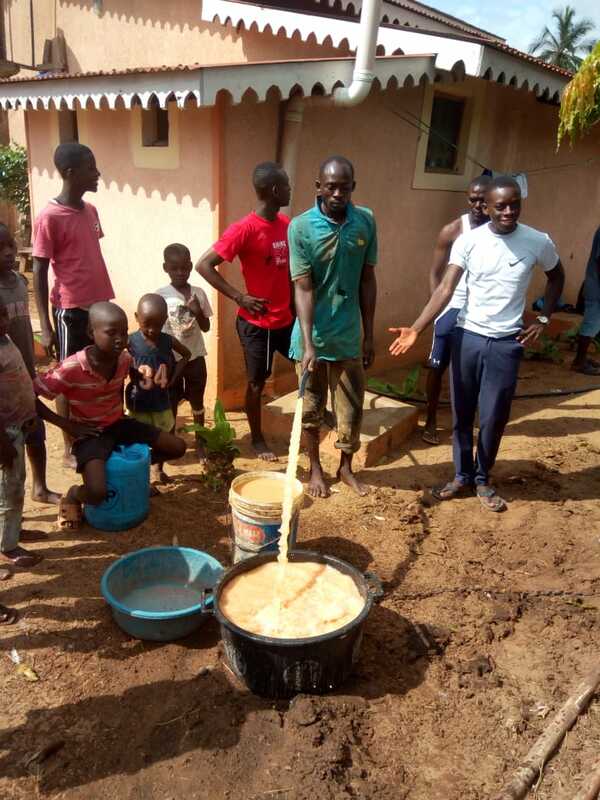 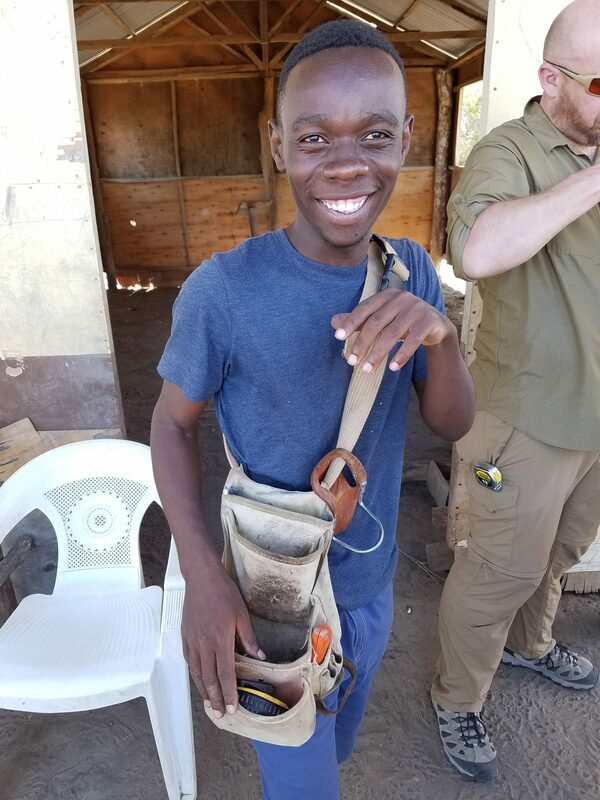 During the November 2018 trip Living Water was made aware that the school located at Chafisi Baptist Church had a broken municipal water line and the school didn’t have clean water for drinking or cooking meals. 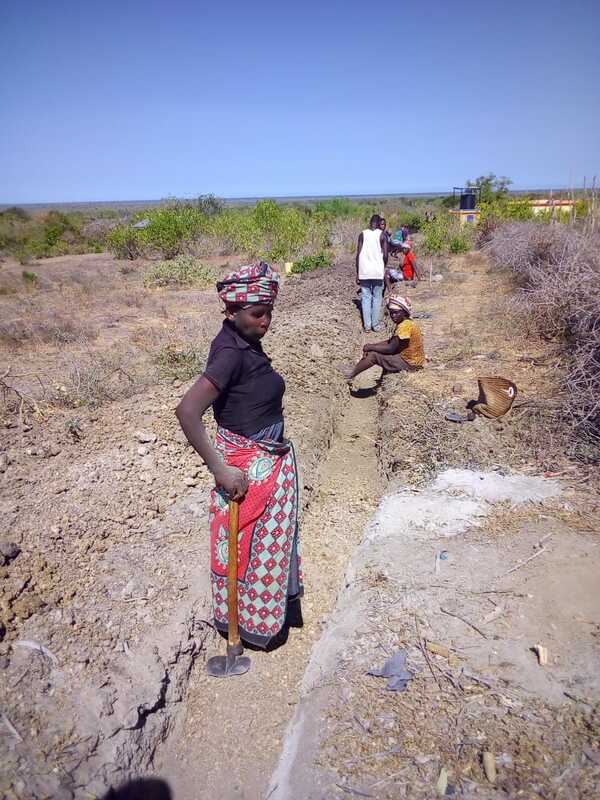 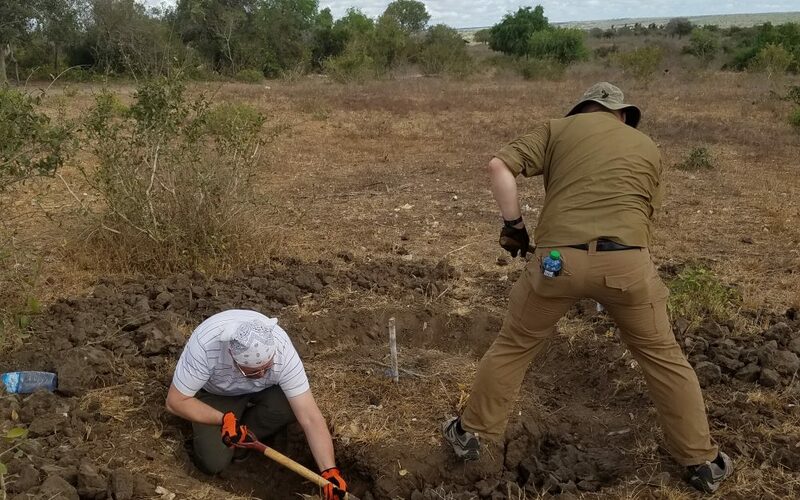 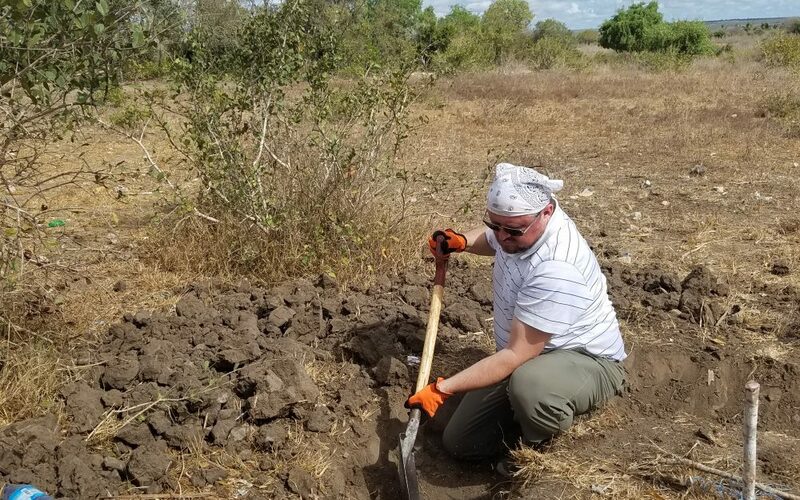 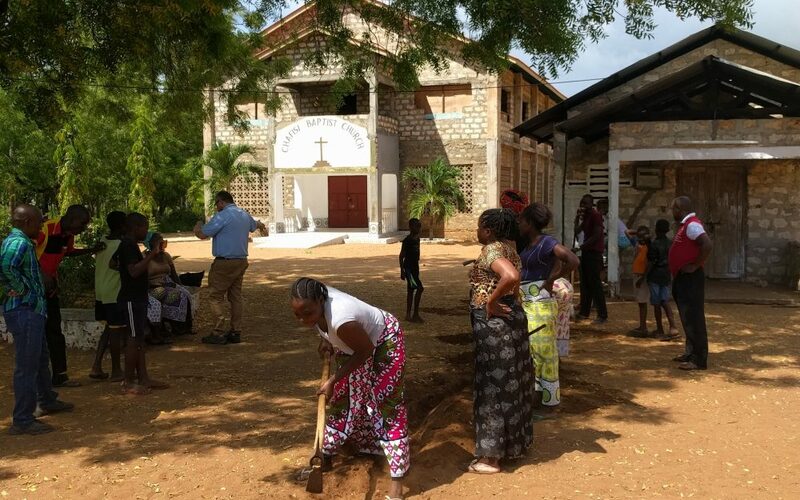 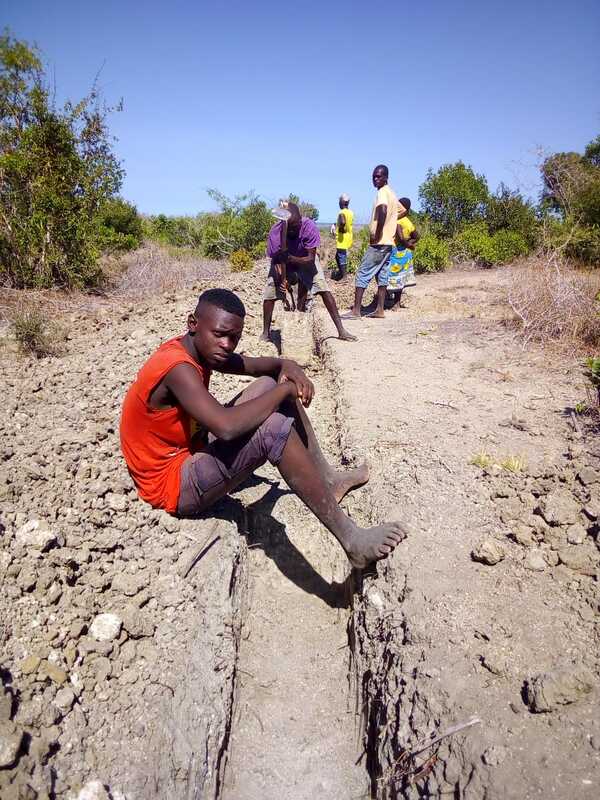 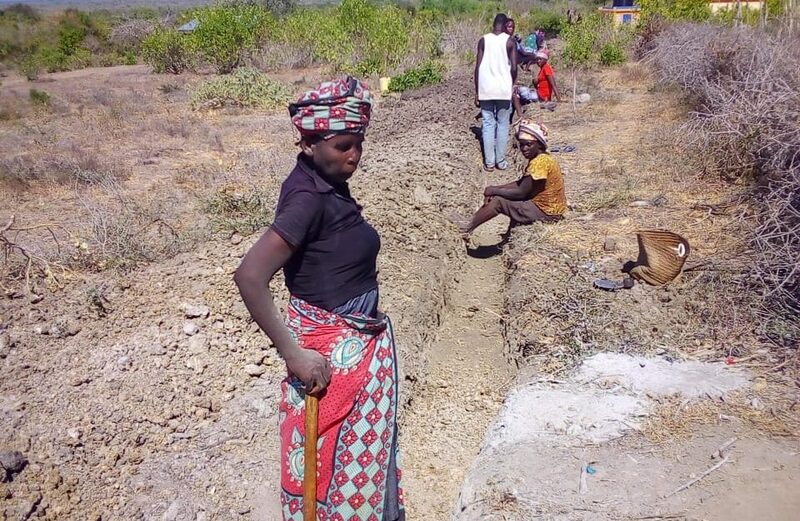 Bobby and Steve assisted the women of Chafisi to dig the ditch for the new water line. 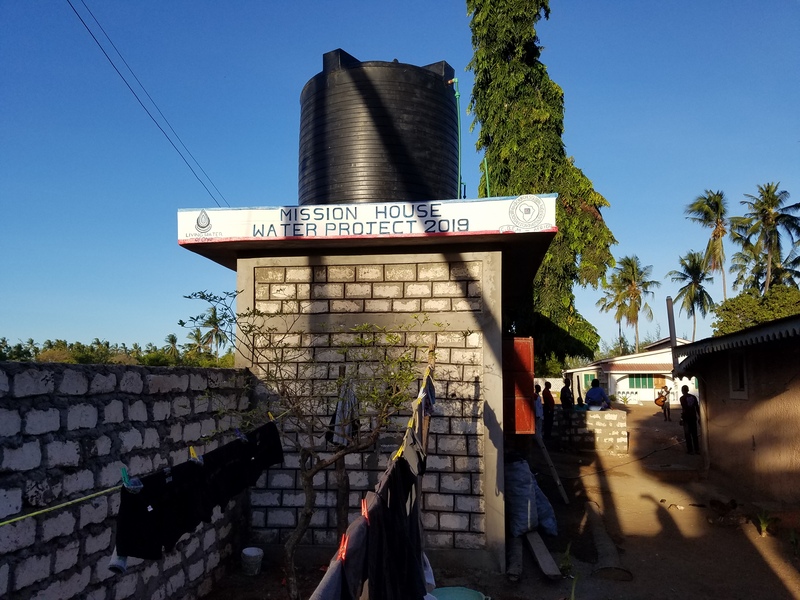 The school now has water. 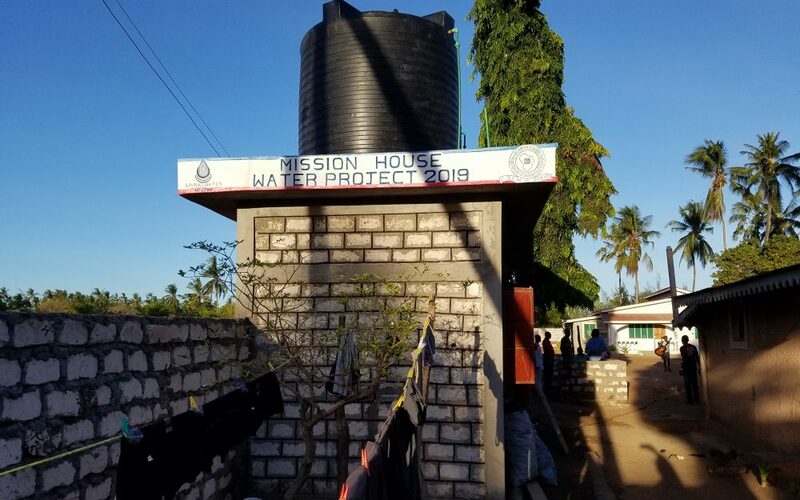 The mission housing is increasing due to large groups in the summer of 2019 and the need for water is great. 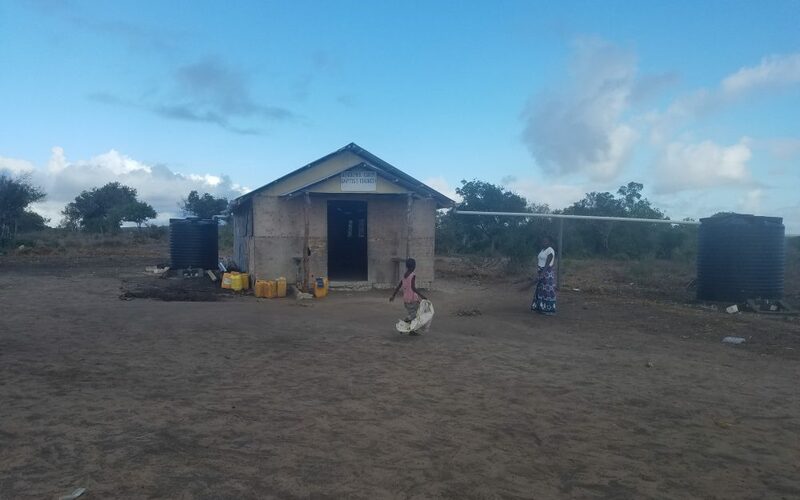 The Chanjalo driller wanted to bless the mission house by providing a well for a reduced price. 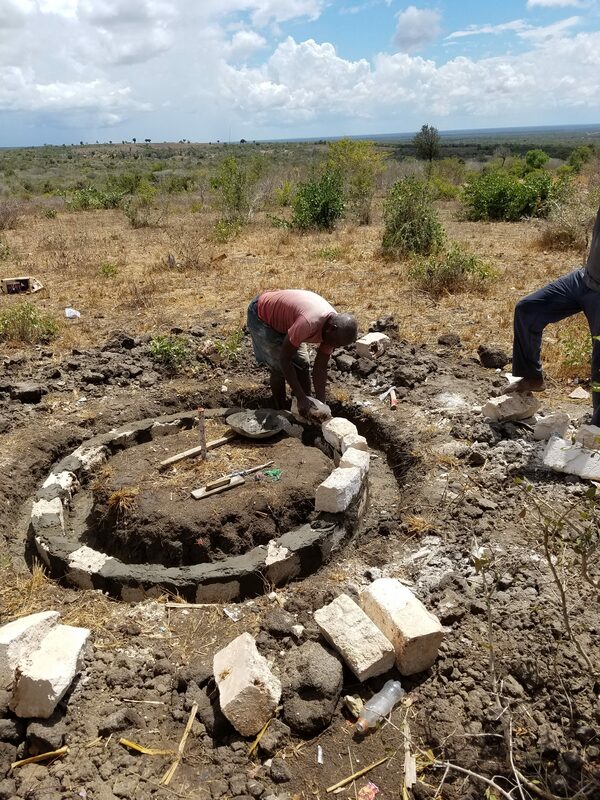 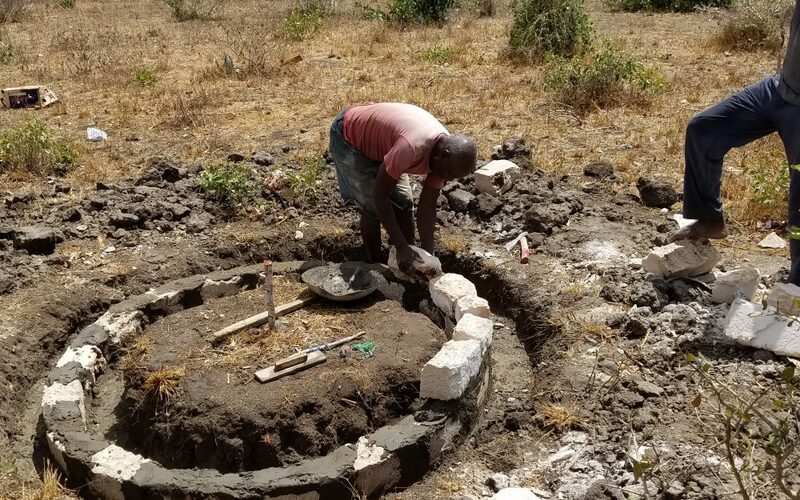 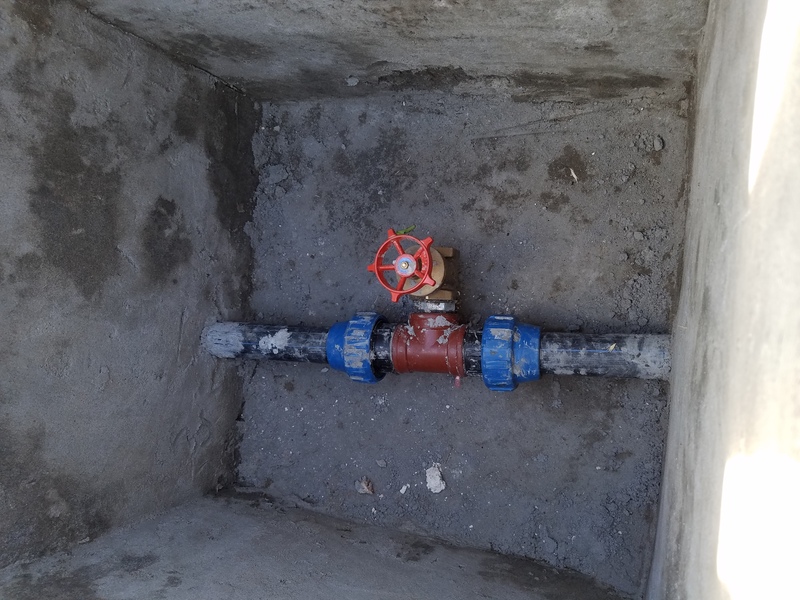 The well was drilled in late 2019 and the structure to protect the water source should be completed in the spring of 2019. 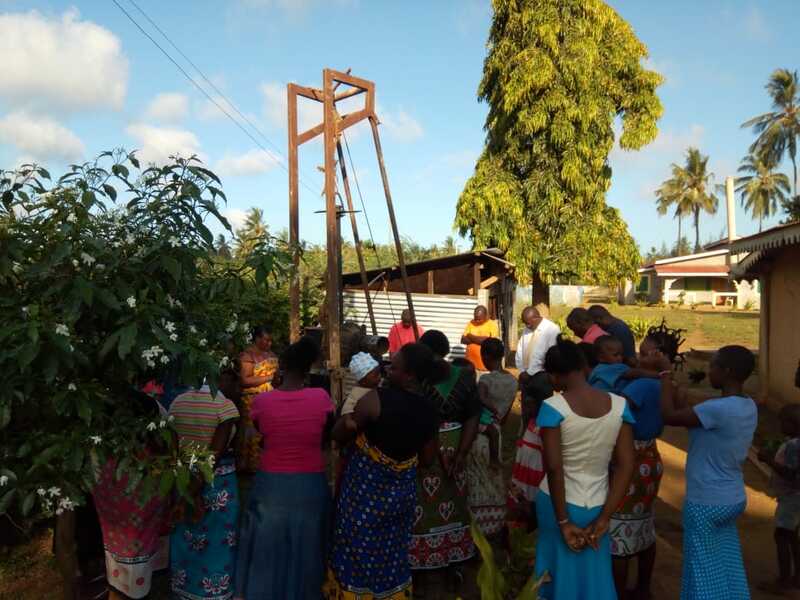 The borehole is producing salty water (which can be used for toilets and cleaning). 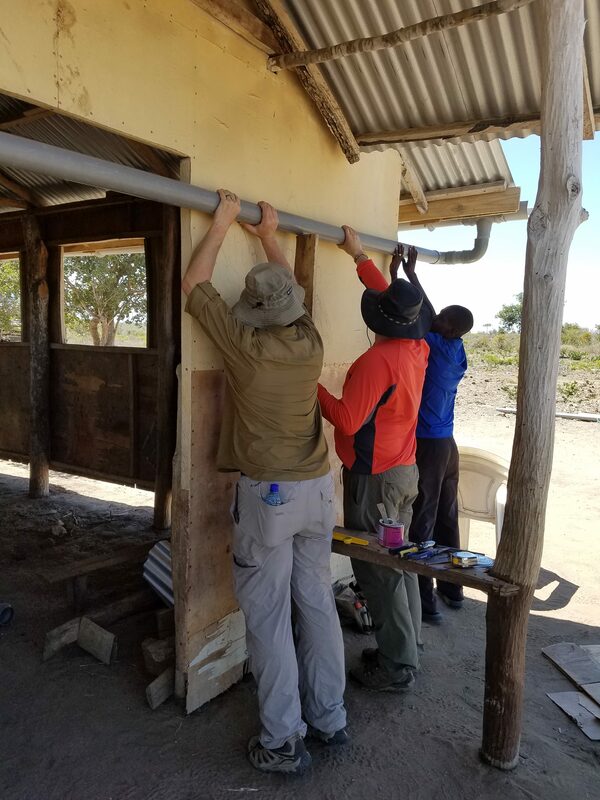 We are installing gutters on the house with rain water catchments going to the borehole to dilute it. 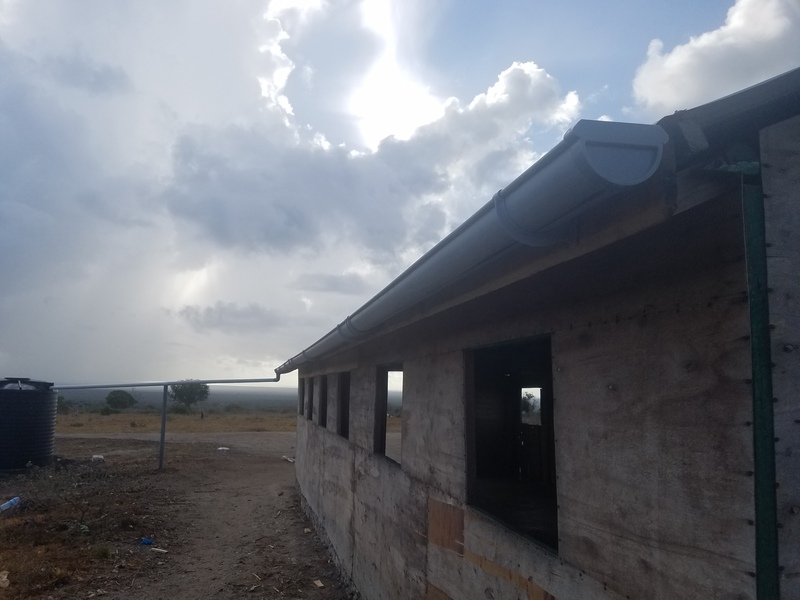 There will also be plenty of rain water stored for gardening and watering the animals on the property. 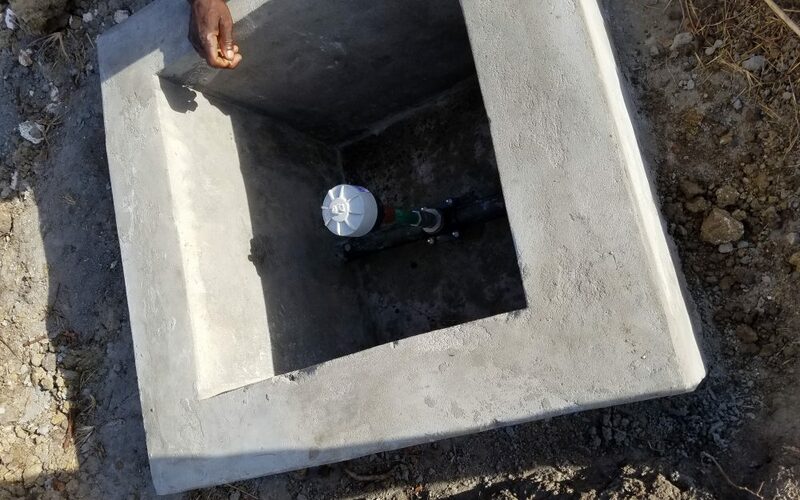 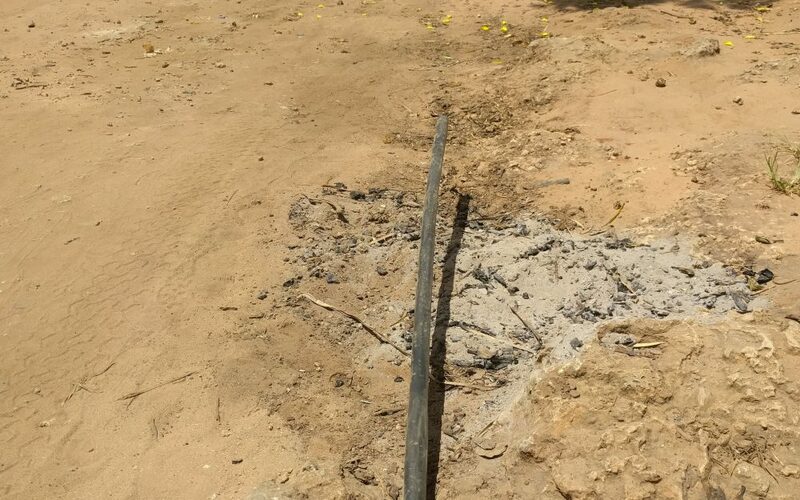 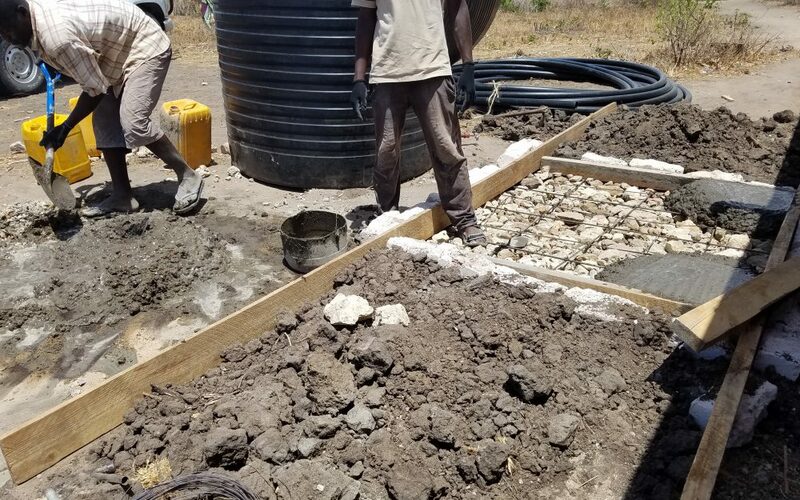 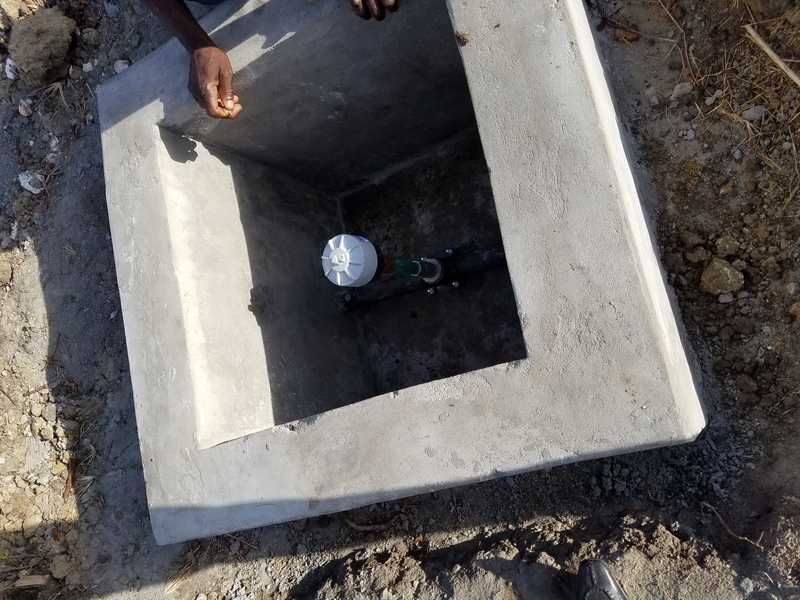 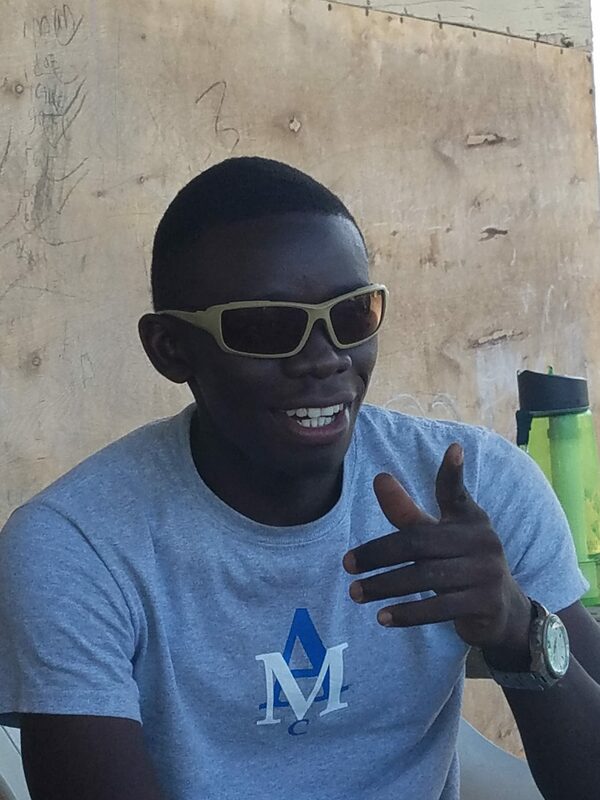 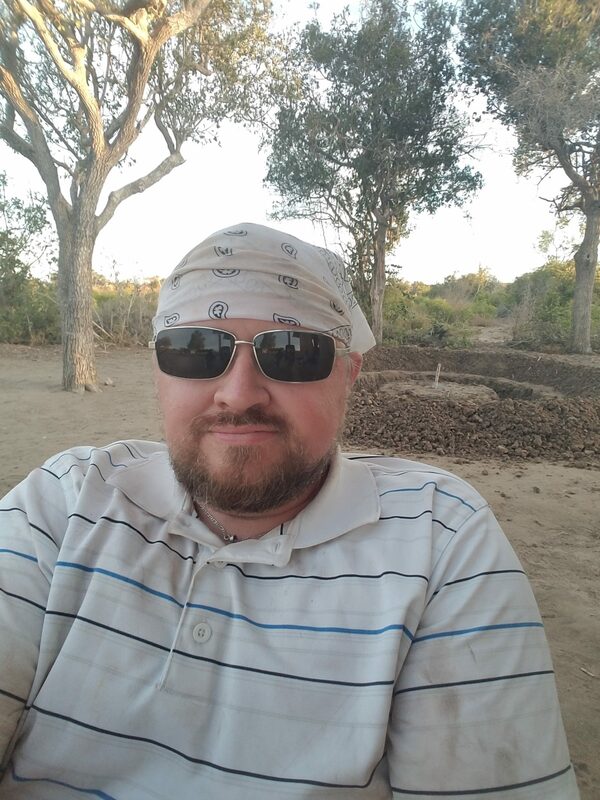 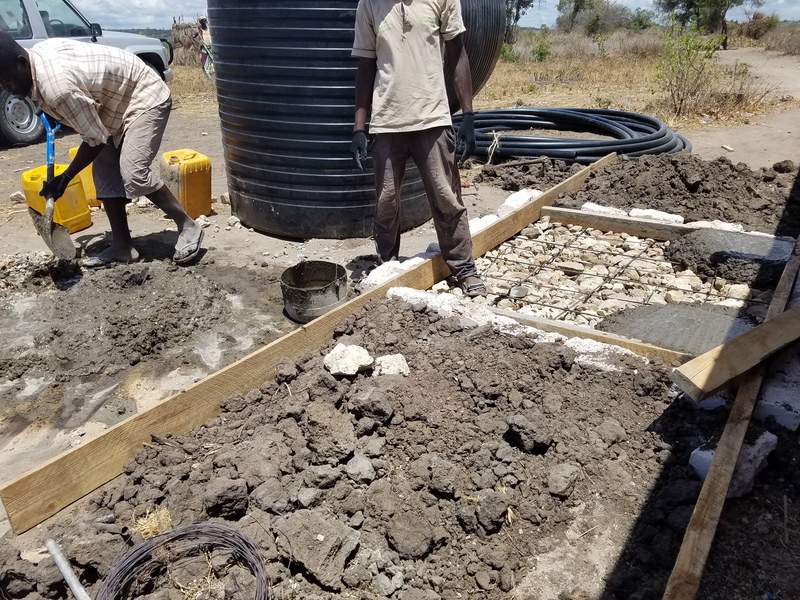 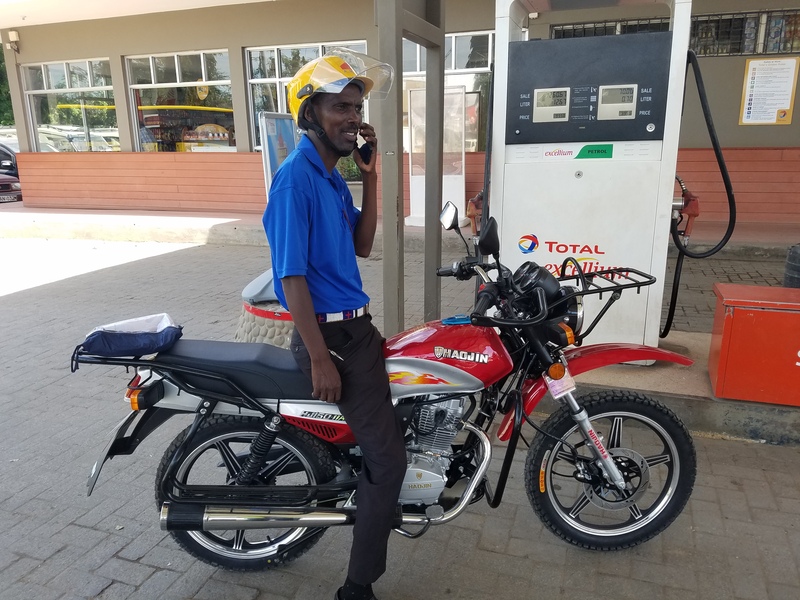 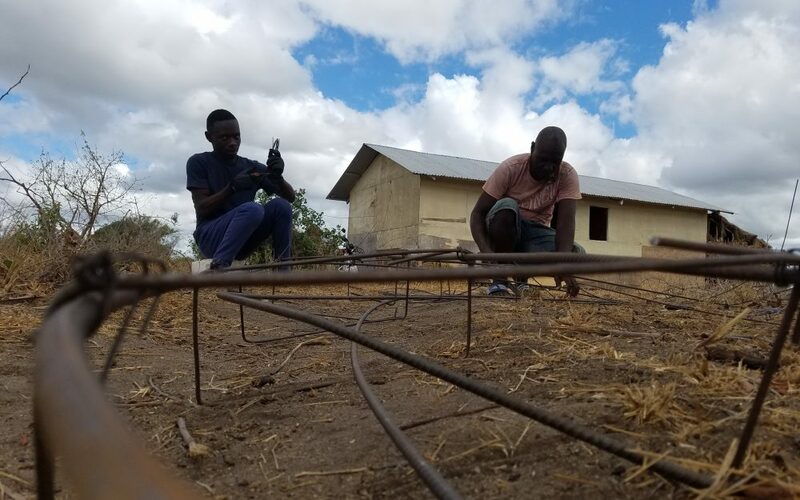 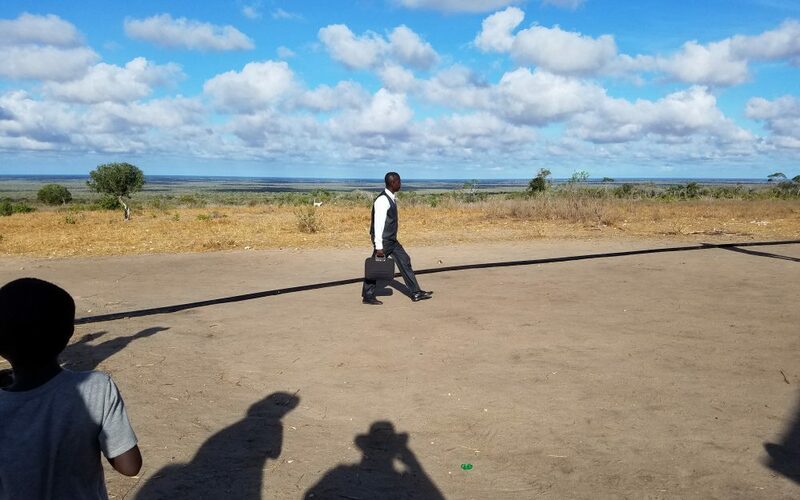 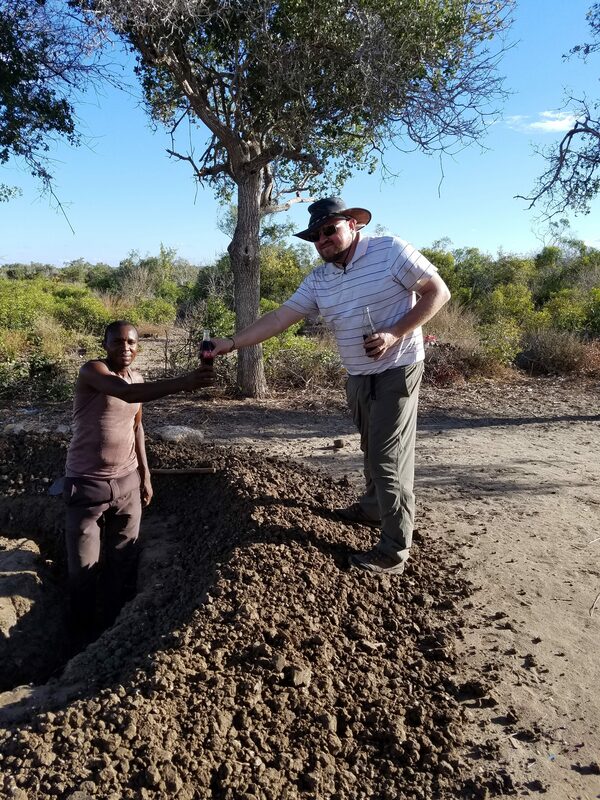 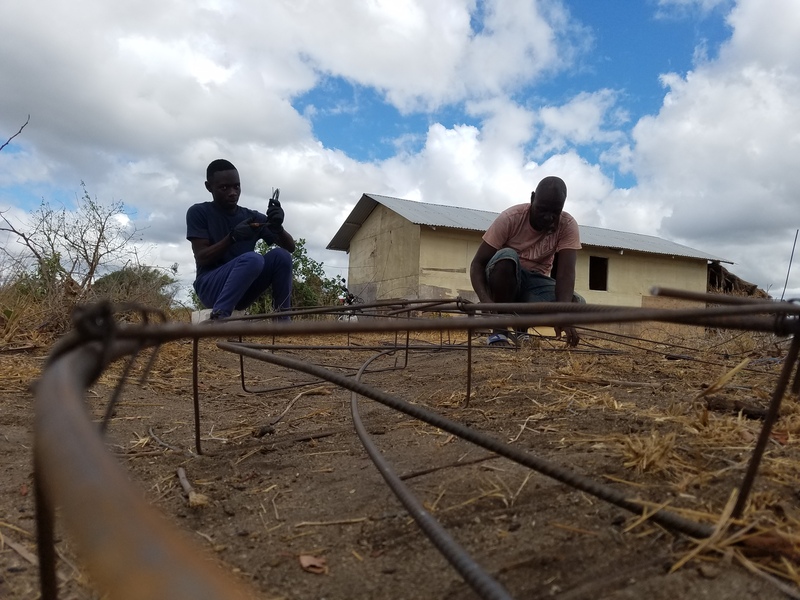 During the November 2018 trip to Sendemke and the geological survey it was determined that an alternative water solution would be required instead of a bore hole. 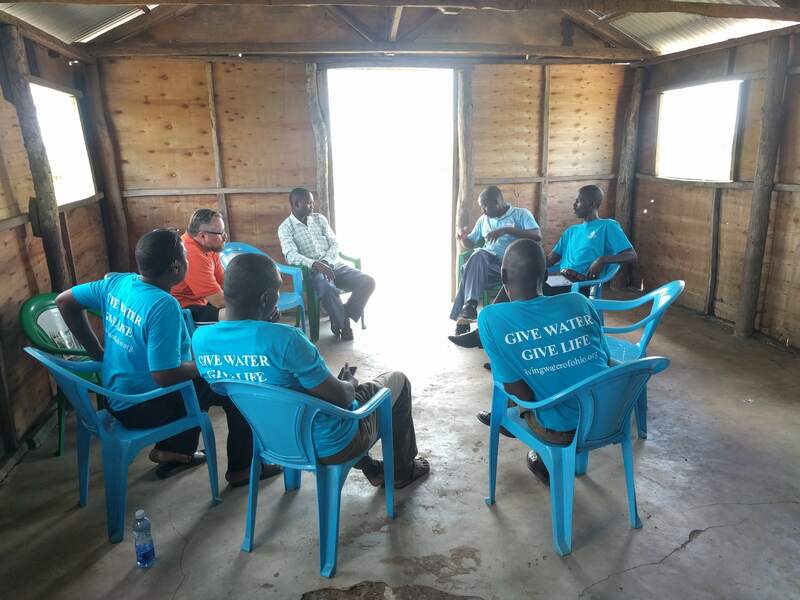 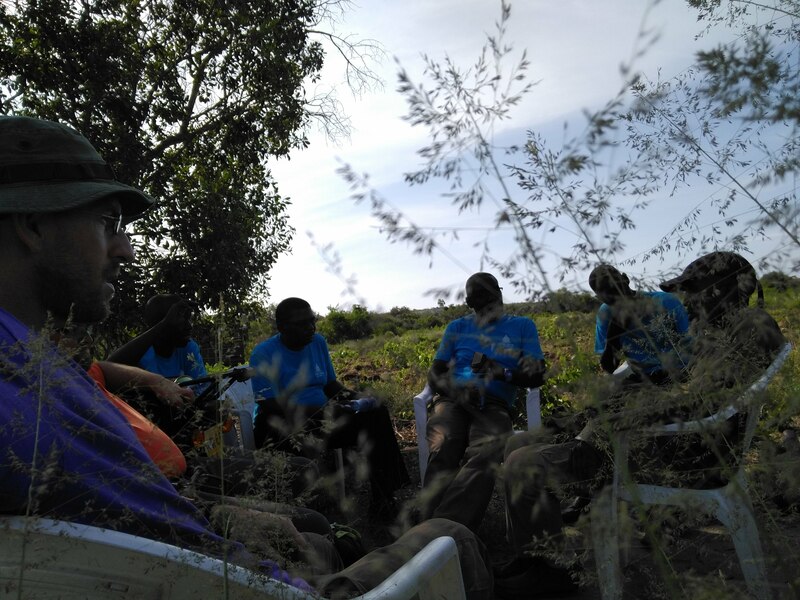 Bobby and Steve of Living Water and CBEM leadership met with local representatives for the Kambicha-Kanyumbuni water pipeline (a World Vision Project). 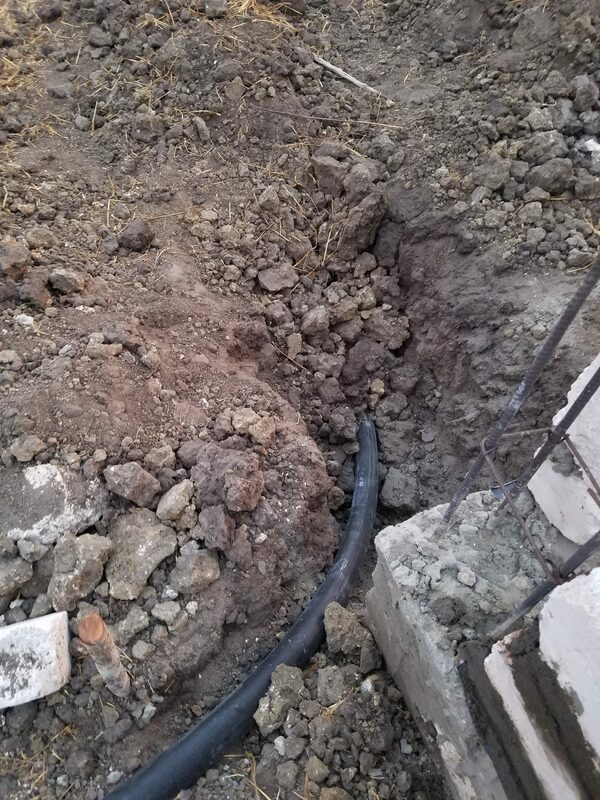 The best solution is to bring the pipeline to Sendmke. 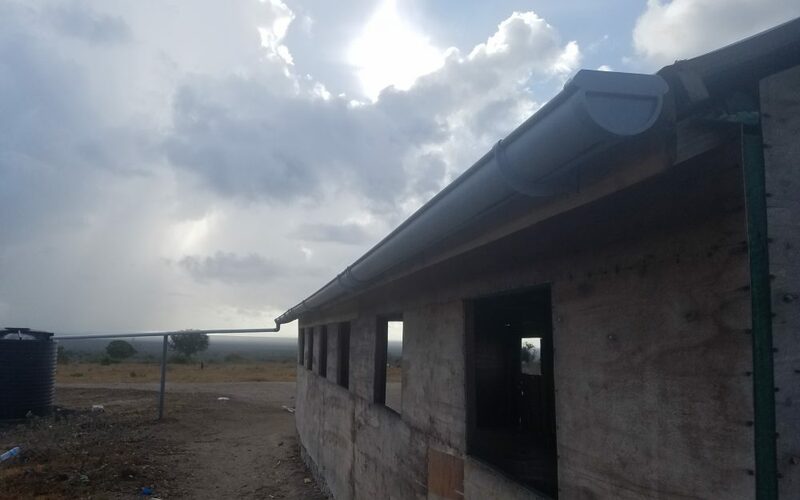 The project is currently ongoing and scheduled to be completed in spring of 2019. 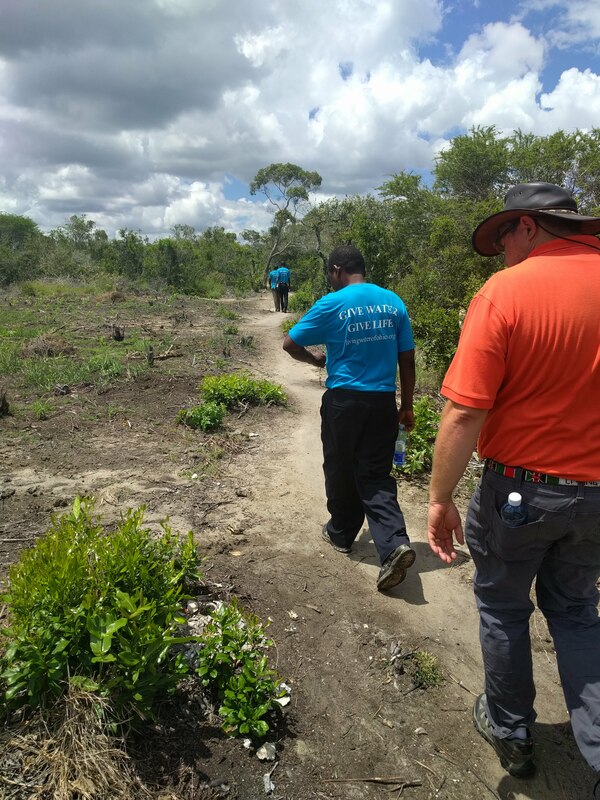 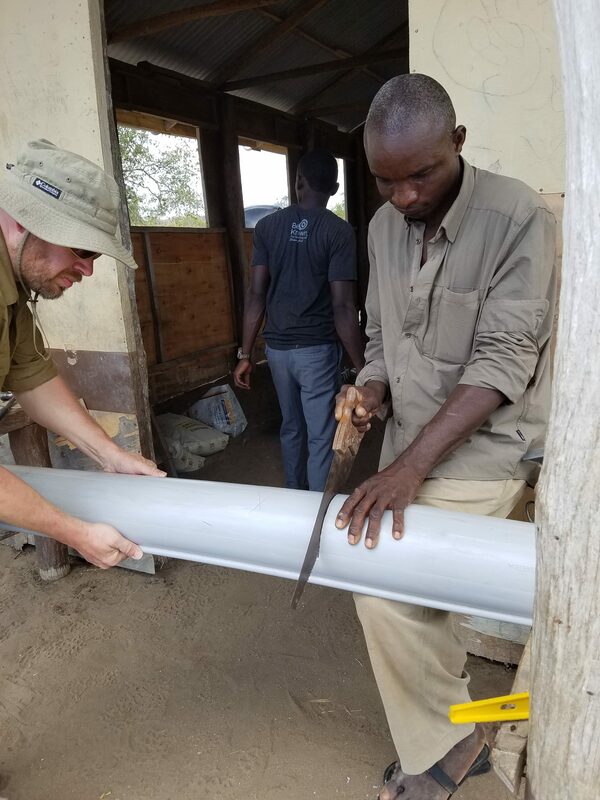 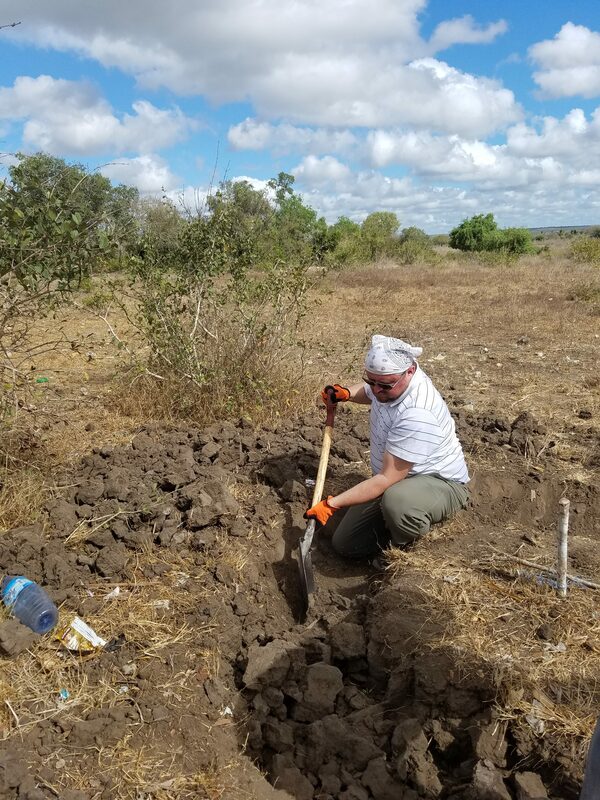 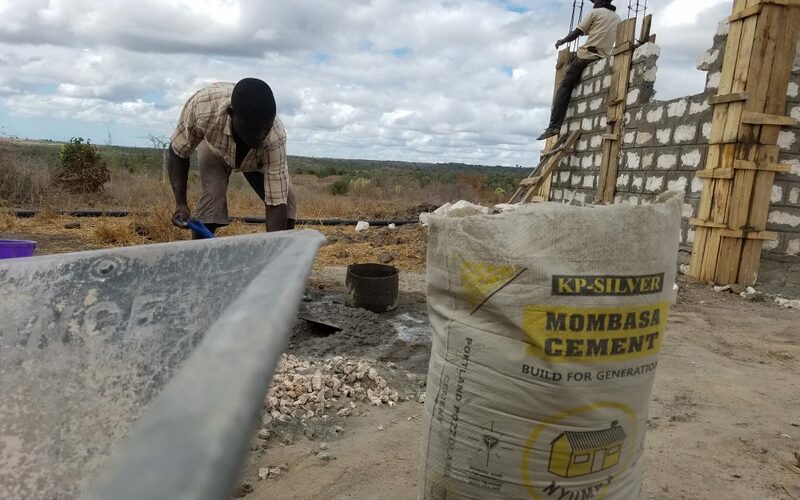 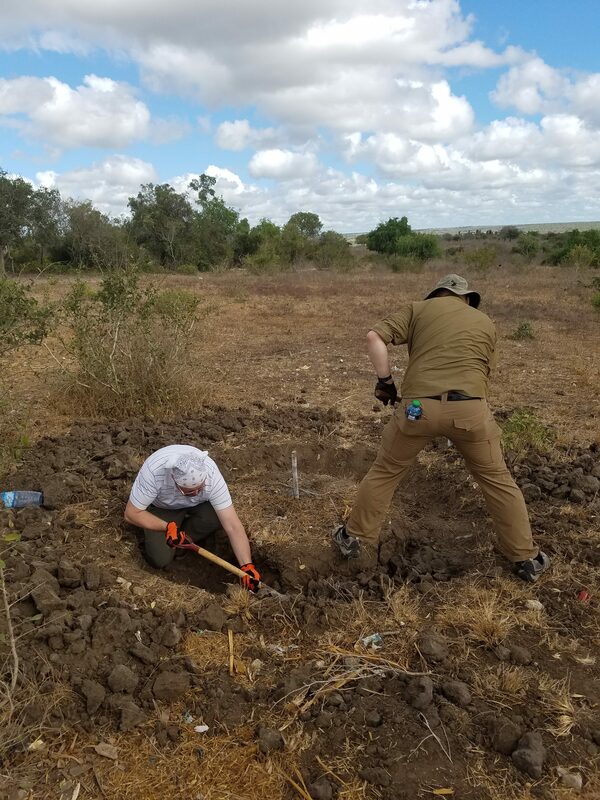 As soon as the funding came in for the pipeline project we took a small team to help with the water projects in Sendemke. 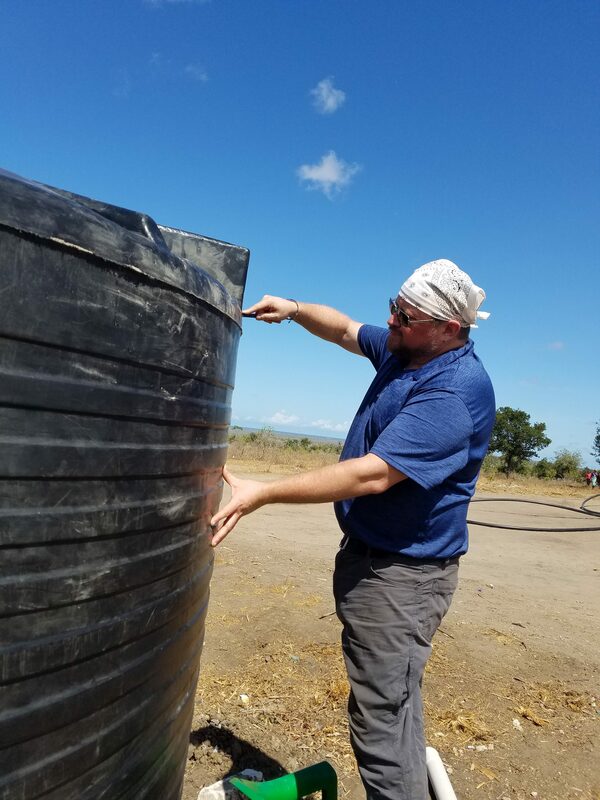 We were able to install rain water catchments on the church as well as test the water line that was tapped into the Kambicha line. 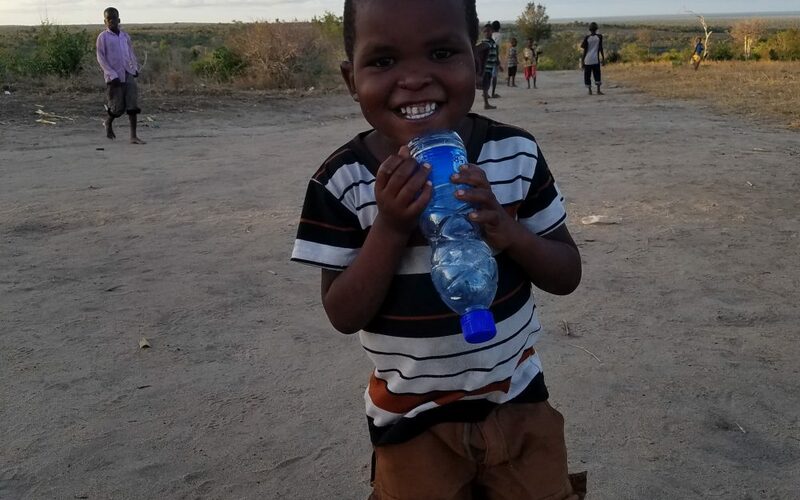 It was a success. 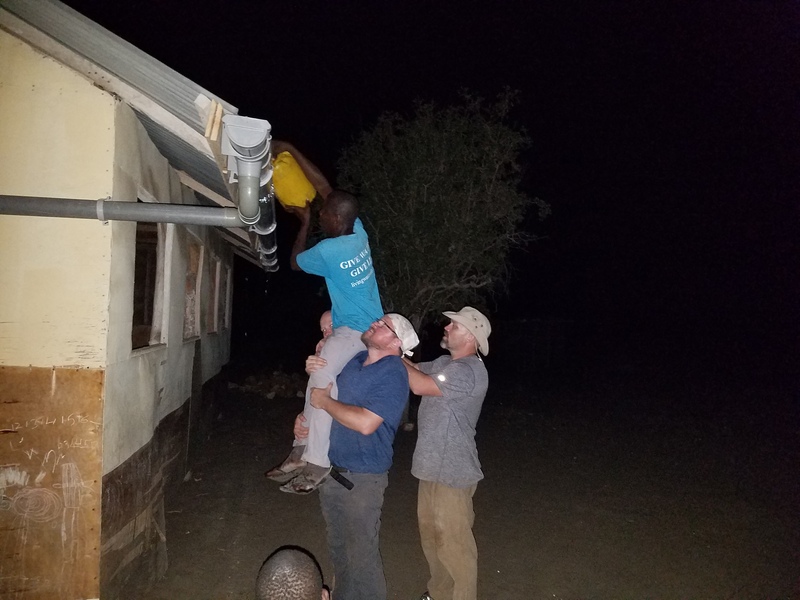 We accomplished more than we expected. 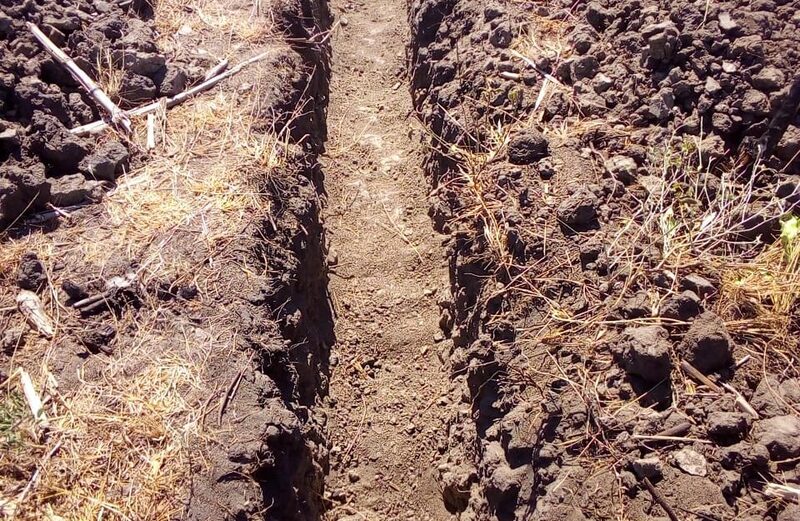 The geological survey for Chongojeni found that it would be best to tie into the existing pipeline like Sendemke. 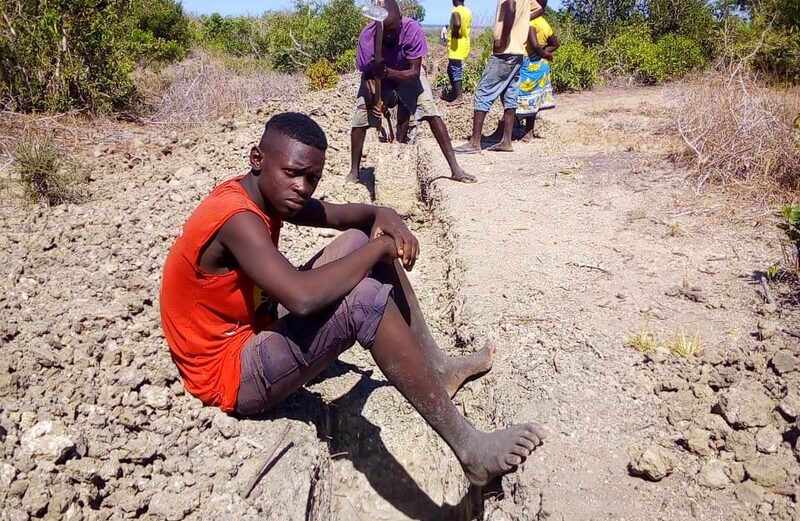 The local people cleared the land for a water line to be buried when the project has the proper funding. 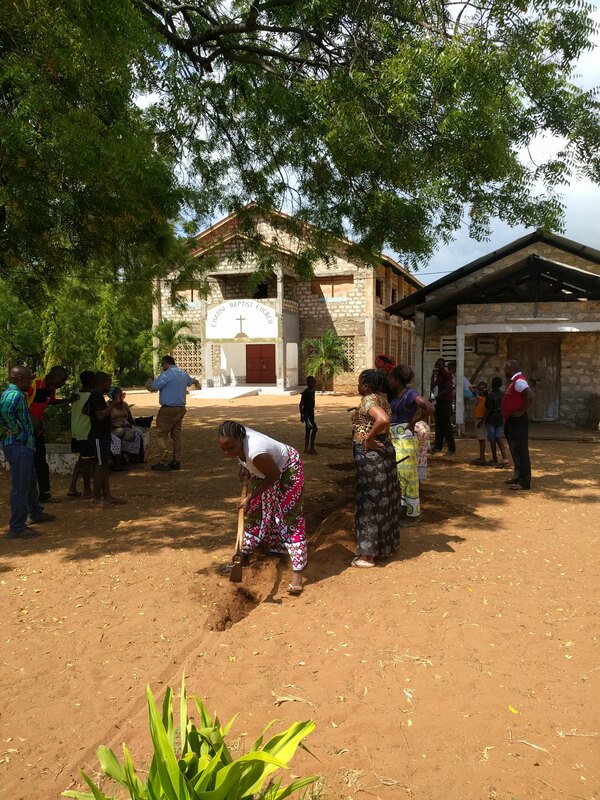 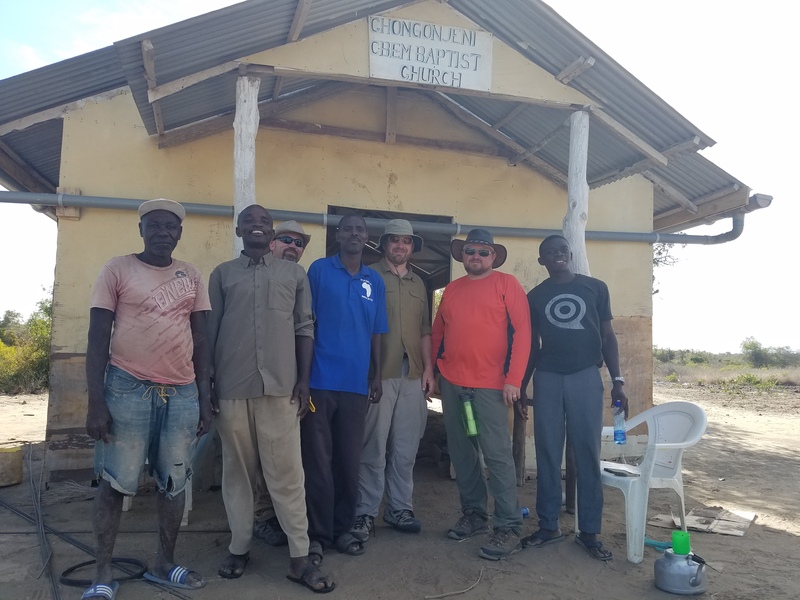 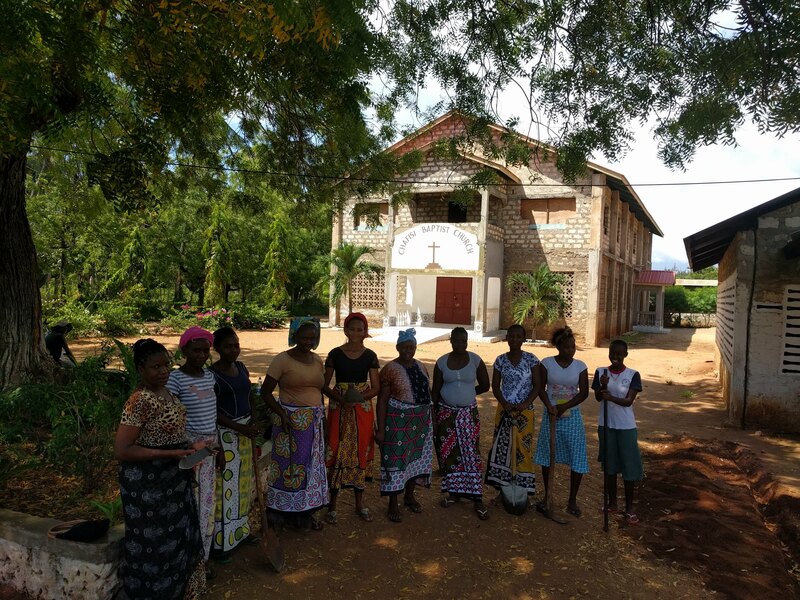 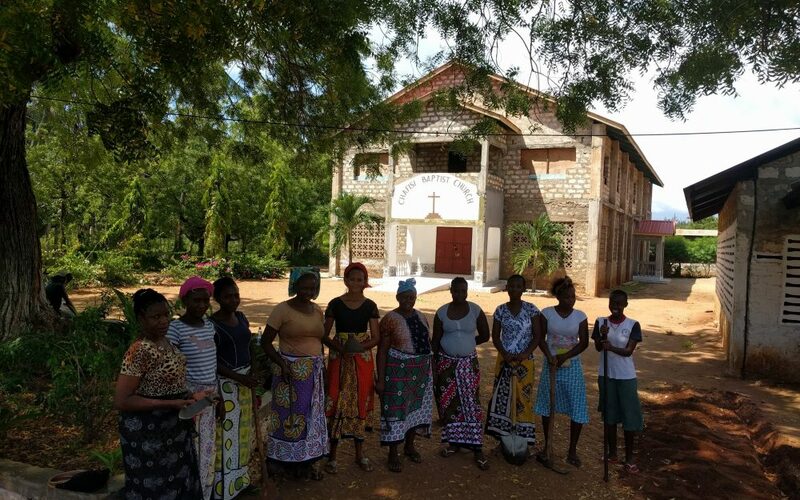 Our team, with the help of the local people and pastors, were able to install a rainwater catchment on the church at Chongojeni. 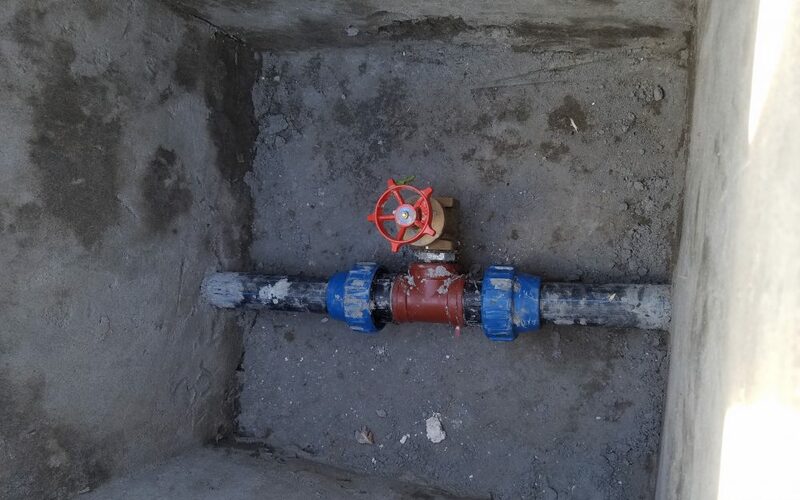 This is a small solution to help with the water situation there. 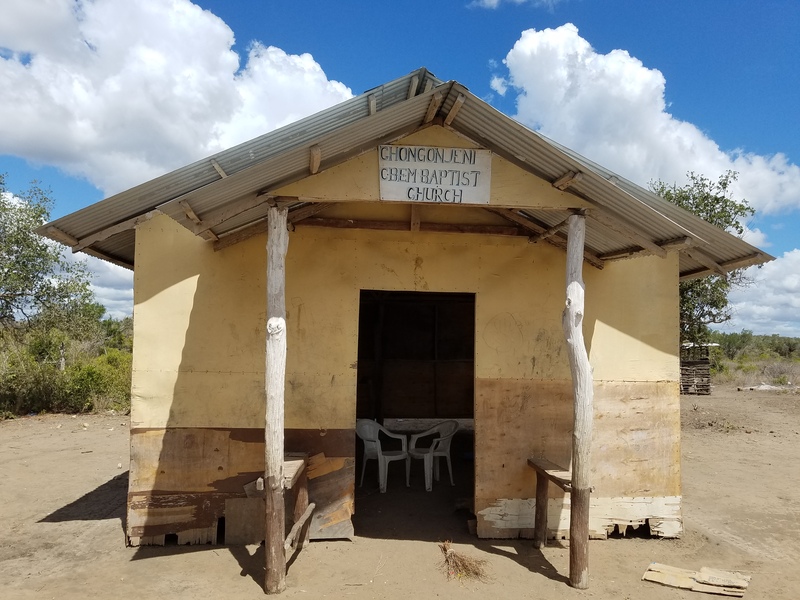 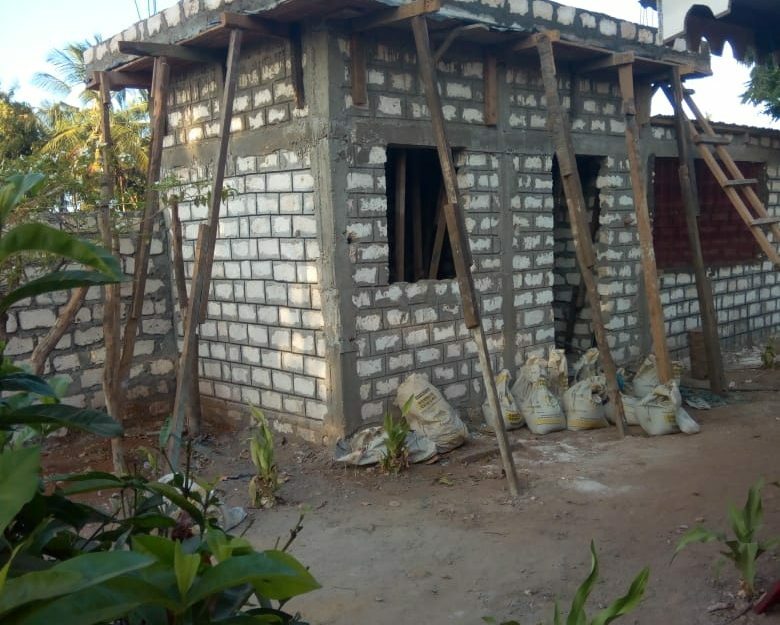 We are believing for the funds to come this year so we can run the waterline from the Kambicha project to this church. 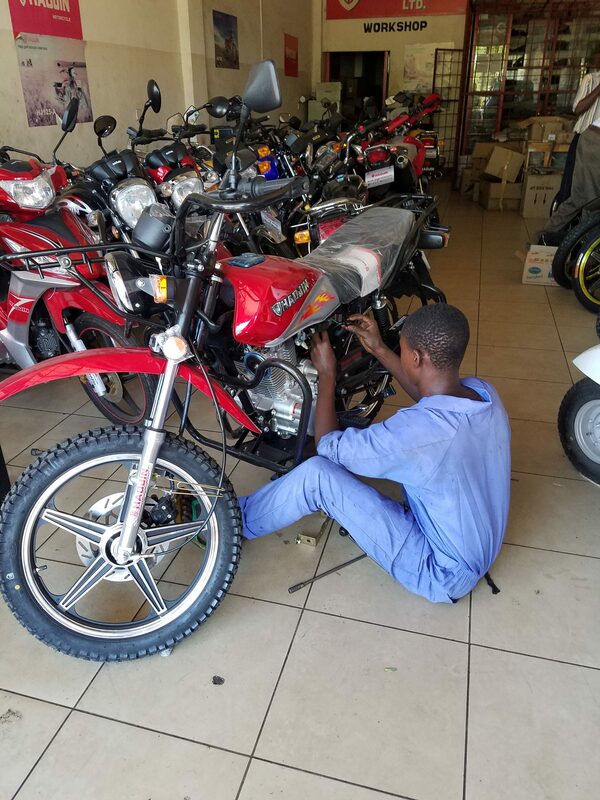 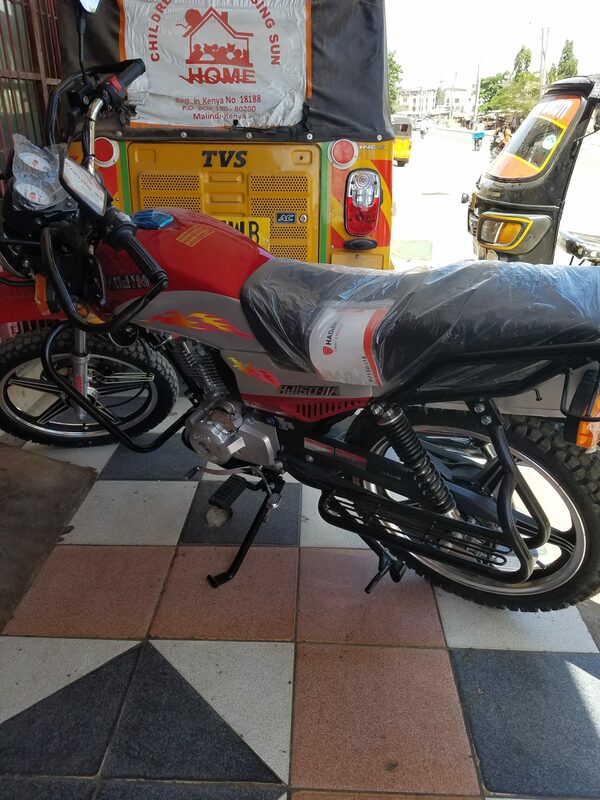 We are also taking donations for motorcycles for Pastors in Kenya. 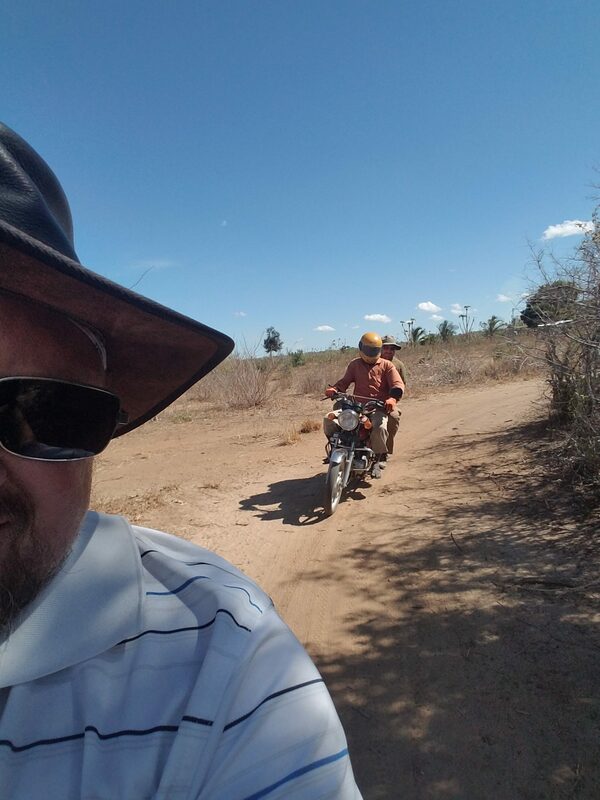 This is the main mode of transportation out in the bush. 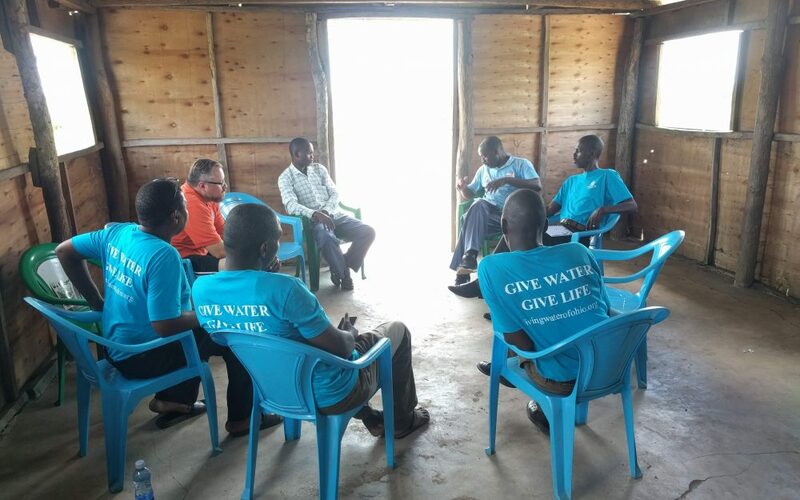 These Pastors will also oversee water projects as well as schedule contractors for upcoming projects.